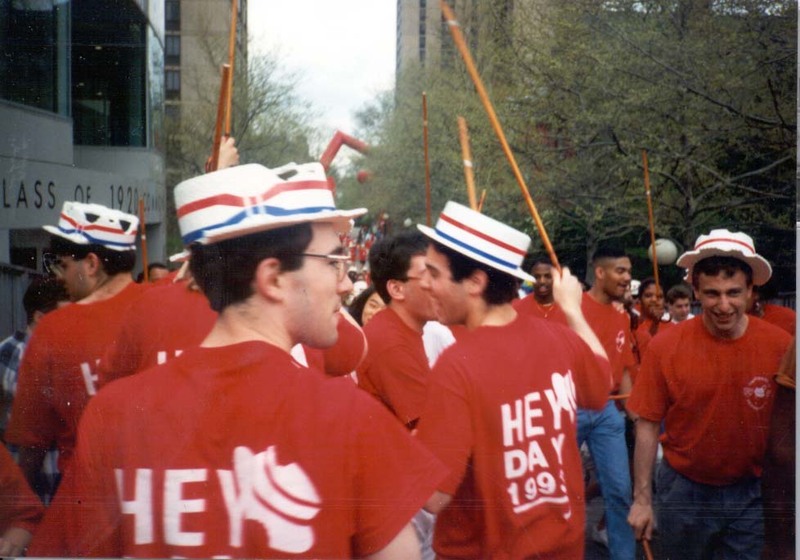 Today is “Hey Day” at the University of Pennsylvania, my alma mater. 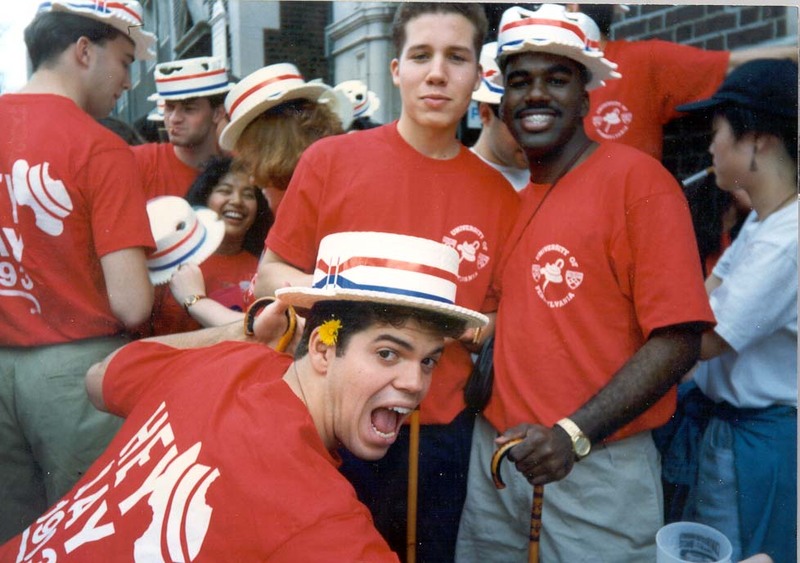 Hey Day is a one hundred year old tradition at Penn. Held on the last day of classes, before reading days and then final exams, Hey Day marks the ascension of the Junior Class to Seniors. 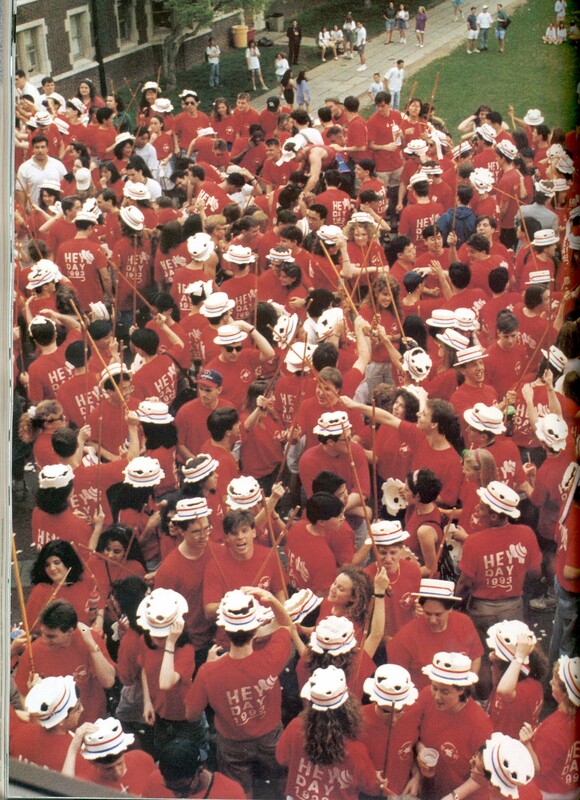 The class gathers on the Junior Balcony in the Quad wearing red t-shirts and styrofoam skimmer hats and wielding canes, and after some celebrating (the traditional drink is a screw driver, or at least it was during my time on campus), marches down Locust Walk to College Green and then to the steps of College Hall, the main administration building on campus. The University President comes out to greet the class, say a few words and then officially declare the class as seniors. A tradition that began in 1917, this year marks the 100th Anniversary of the original Hey Day, while last year marked the 100th Hey Day itself. Confused? So are the Penn Classes of 2016 and 2017 who each want to claim to be the 100th Hey Day class. The campus newspaper, The Daily Pennsylvanian, covers the ‘dispute’ in this article. 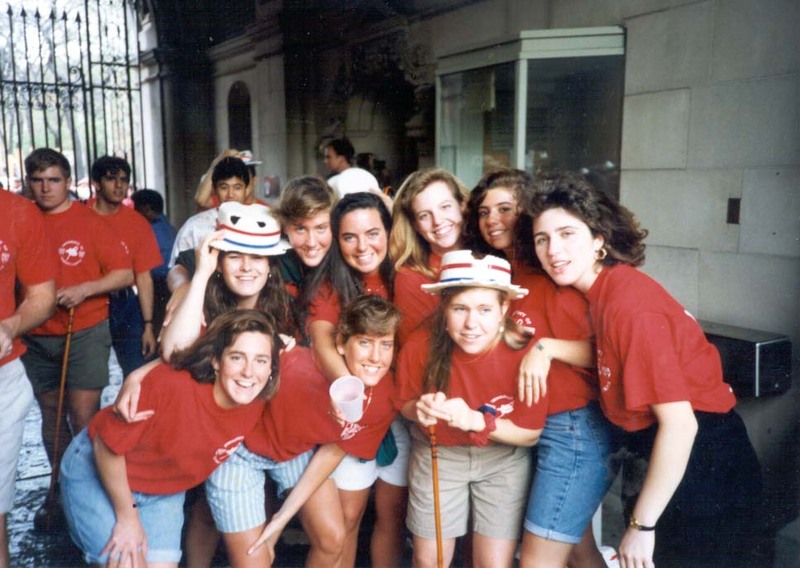 The University archives at Penn describes “Class Day,” which was the precursor to Hey Day here, and the traditions and history associated with Class Day, Ivy Day and Hey Day here. 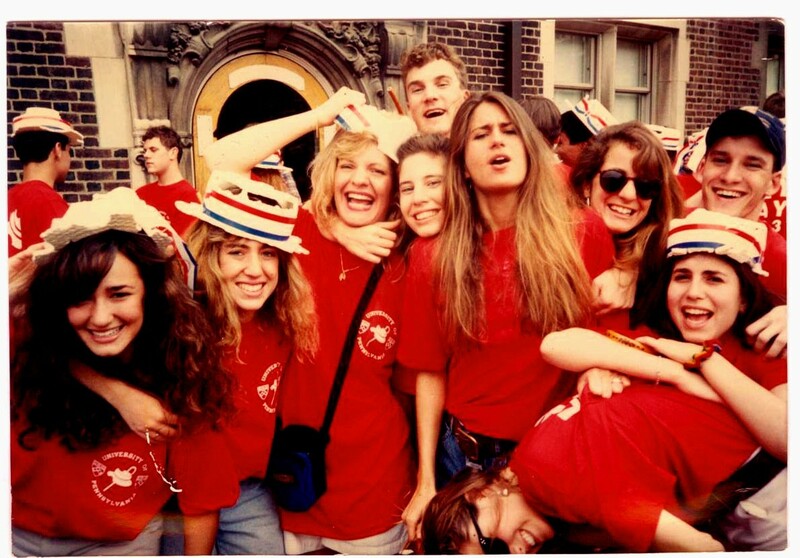 Three years ago, my graduating class at Penn, the great Class of 1993, was preparing to celebrate our 20th reunion at Penn. 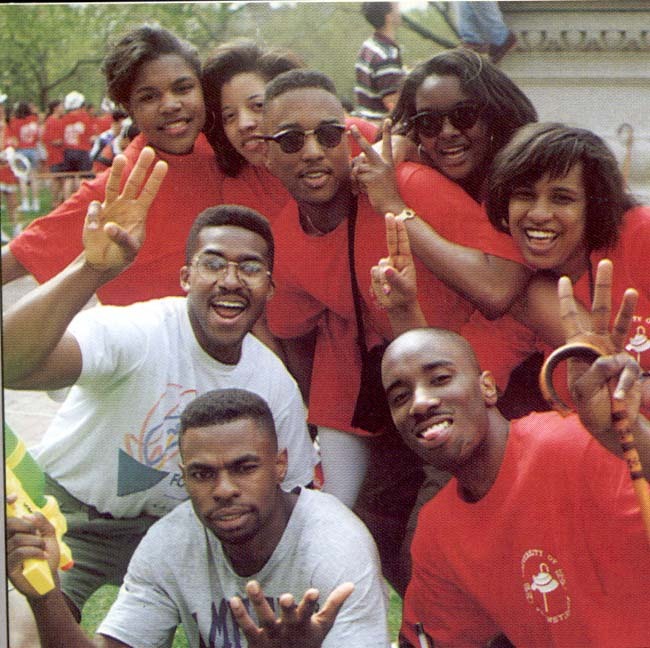 I decided then to look back at our class’ Hey Day which was in April of 1992. 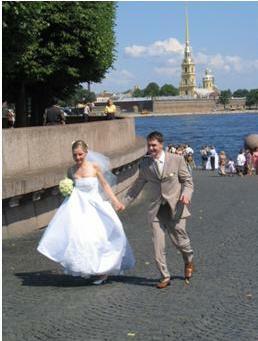 I asked classmates for photos and their memories. Given the partying and craziness of the day, we are all grateful that cell phones and social media didn’t exist back then. 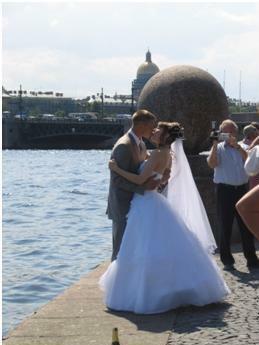 Even today, in our class Facebook group, classmates are reminiscing about that special day. Here is my original post from the Frankly Penn blog, published on April 24, 2013. 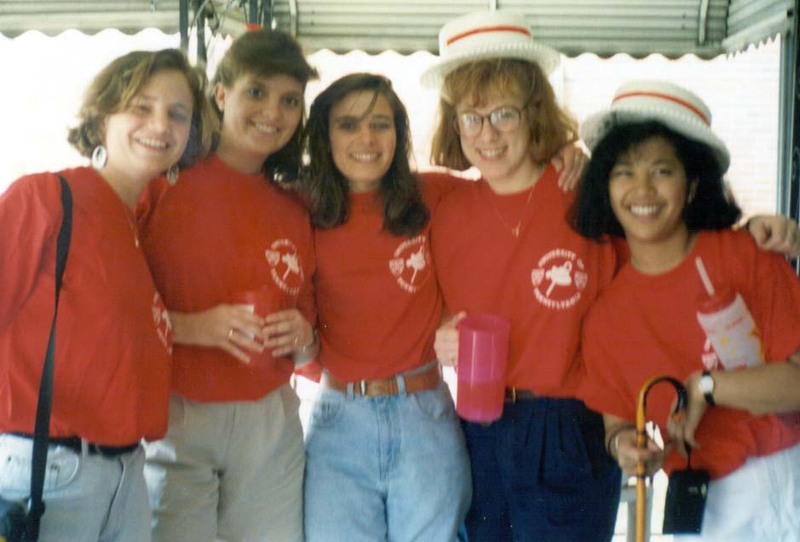 As the Junior Class celebrates Hey Day today, the Class of 1993 is busy preparing for our 20th reunion in just a few short weeks. But it’s also a good time to think back and remember our time as students. 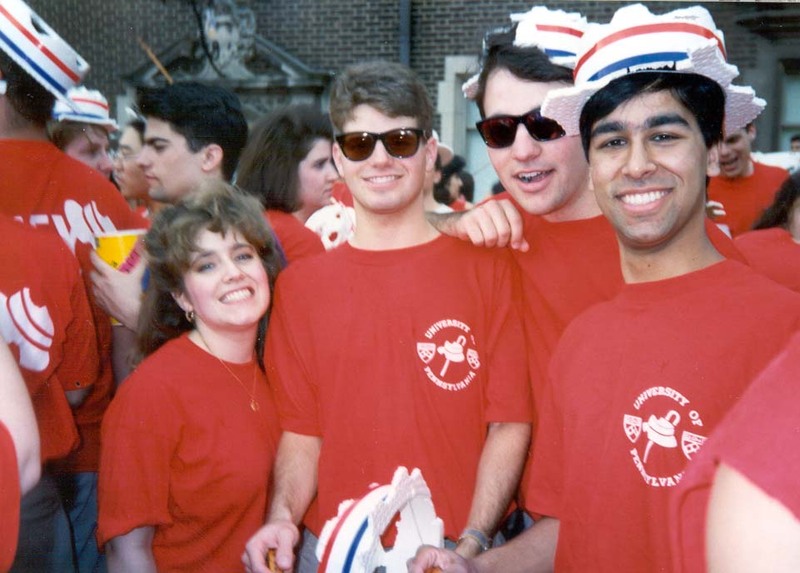 It’s hard to believe that twenty-one years ago, on April 24, 1992, we were strutting down Locust Walk about to become Seniors and officially begin our last year at Penn. Remember the bookstore wall? Huntsman Hall now stands where this wall was. Hey Day is coming – buy your hat, canes and shirts! I asked my classmates to share their memories of Hey Day, but no one was willing to fess up and share anything on the record. 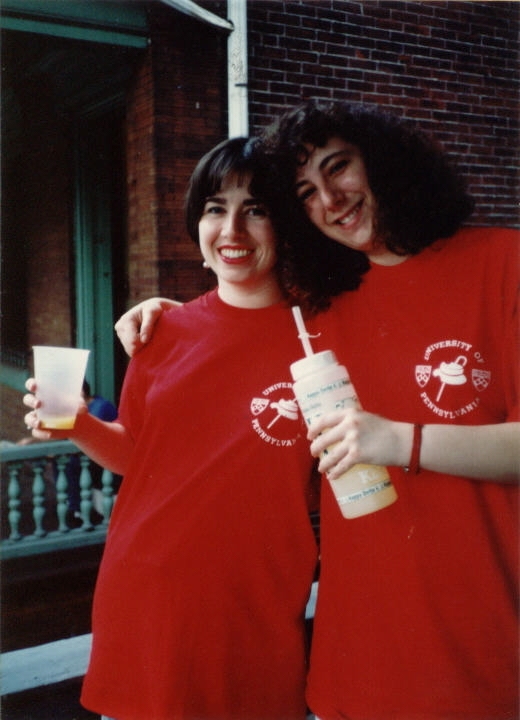 So, here is Hey Day 1993…names withheld to protect the innocent. OMG, Hey Day! I had 3 job offers and was deciding between them. Completely forgot that a rep from one of the 3 firms was coming to meet me that day to talk about his company. After many, many cocktails, I stumbled back to off-campus housing midday in my red t-shirt and broken hat to find him sitting on my front steps. I could hardly put 2 words together. Cheers to my housemates who saved the day and invited him into our filthy stinking apartment and got him completely wasted. Needless to say, I accepted the offer and stayed at that job for 12 years. It was so awesome. He was my first boss — we just had drinks together this past Tuesday!! Everyone gathered in off-campus apartments and houses to start the celebration. 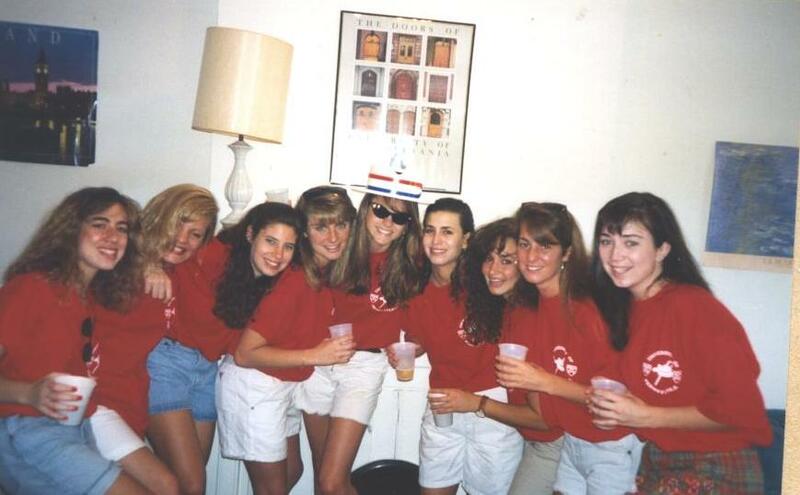 First of all it was one of my best days at Penn – being with all my best friends on the Junior Balcony, hugging each other and laughing, while at the same time seeing – in one place – so many of our classmates that I had met during the 3 years before. I remember after all the festivities started to die down, standing buzzed in the lightly falling rain in the middle of College Green listening to Jerry Brown give a campaign speech for President. I remember thinking, “Boy did his campaign staff really pick the wrong day to come to campus!” Everyone in the audience was a drunk junior – barely standing, cheering and not listening to him. It was a surreal experience for sure! We made our way from Super Block, over the 38th Street Bridge. And then we headed to the Quad. And our class board led us down Locust Walk to College Green. L-R: Ed Miller, Elissa Laitin, Lisa Luther, Julie Berliner, Chrissy Bass, Mike Rosenband, Laurie Bieber, Brooke Hayes. Not pictured Jennifer Spadano and Doug Rosenberg. Congratulations to the Class of 2014 – we hope you have wonderful memories of today to share twenty-one years from now! 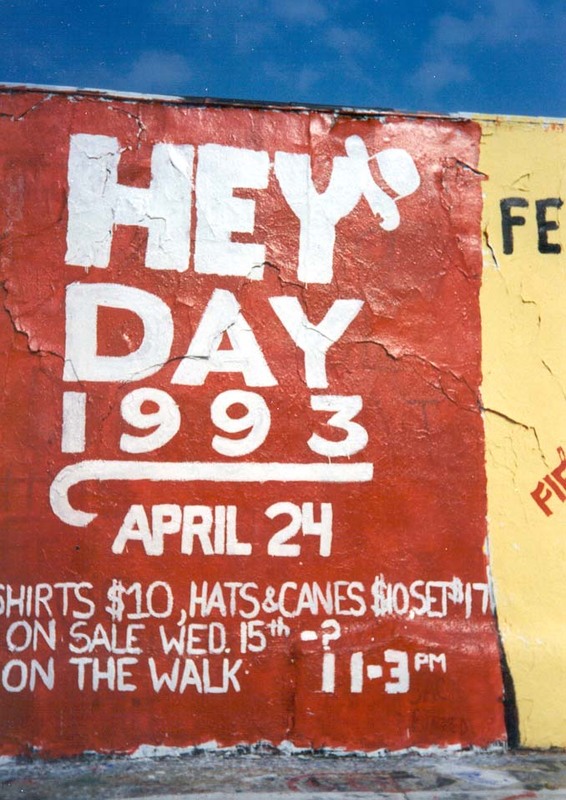 The Penn Archives shared the history of Hey Day. See photos from today’s Hey Day on campus by following @UofPenn on Instragram or @Penn on Twitter. Hashtag is #HeyDay. 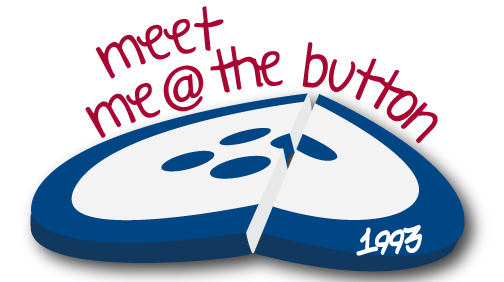 We can’t wait to see you on campus May 10-11, 2013! This was originally published on the Frankly Penn blog on April 24, 2013. As the NCAA Men and Women’s Basketball championships concluded this week and ended the month of “March Madness,” I looked back to Penn Basketball’s most recent “Hurrah” in the NCAA’s. Four years ago, Penn senior Zack Rosen was a finalist for the Lowe’s Senior Class Award. 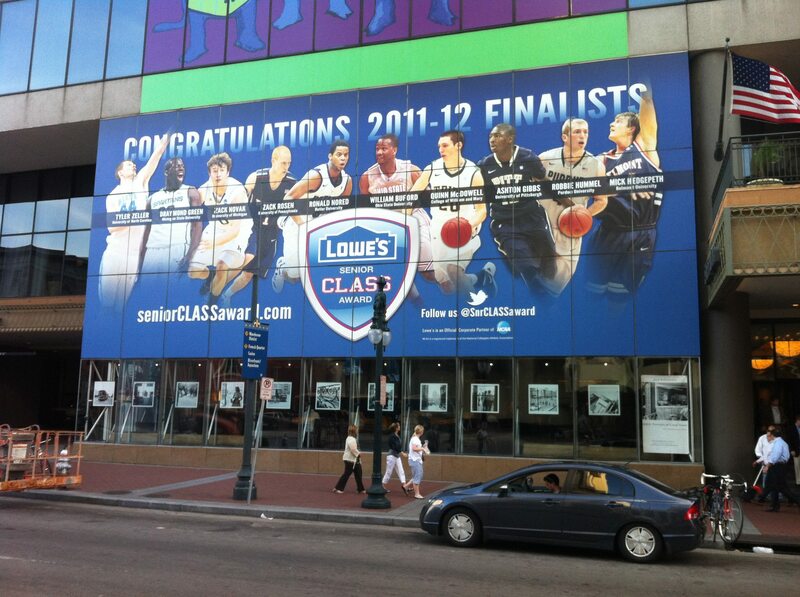 The finalists were pictured around the Final Four host city New Orleans and recognized on court between the two Final Four games. That year Robbie Hummel of Purdue eventually won the award. Since then, Penn Basketball is in a rebuilding effort, with this year being the first of new head coach Steve Donahue. Hopefully in the coming years, the team will return to compete in the NCAA tournament. While it was nice to see the Ivy League’s entry Yale win in their first round game this year, I hope that Penn will be once again be making regular appearances in the tournament representing the Ivy League. Here is my original post from the Frankly Penn blog, published on March 30, 2012. Hurrah, Hurrah! Zack Rosen at the Final Four! This weekend, as Louisville and Kentucky, Ohio State and Kansas battle it out in the NCAA Final Four Men’s Basketball Championships in New Orleans, Penn Athletics teams will be playing Women’s Lacrosse, Softball, Women’s Tennis, Baseball, Men’s Lacrosse, Men’s Lightweight Rowing, Men’s Tennis, Women’s Golf and Men’s Golf. But Penn will be represented at the Final Four. Each of the ten finalists is profiled on the award website, and you can read about why Zack was nominated here: http://www.seniorclassaward.com/athletes/zack_rosen/. Just this week, Zack wrote an editorial published in The Daily Pennsylvanian, thanking the students for supporting the team this year. As you can see in the comments below his piece, the fans write to thank him for bringing excitement back to Penn basketball. I for one, am a huge Penn Basketball fan, and was thrilled when the team visited southern California this year (read my earlier post about the fans that came to cheer for the Quakers). When I was on campus in February, I attended the Penn-Harvard and Penn-Dartmouth games, and it felt like old times in the Palestra – a packed house with Penn alumni and students cheering loudly for our beloved Quakers. Much of that spirit is thanks to Zack Rosen, being the best player on the court and a class act off the court. The finalists are in New Orleans now, and participated in a service project this morning. Tomorrow, between the two final four games, the winner will be announced. In the meantime, their photos adorn a bus and a hotel in New Orleans. Pretty cool to see a Penn player receive some well-deserved national recognition. 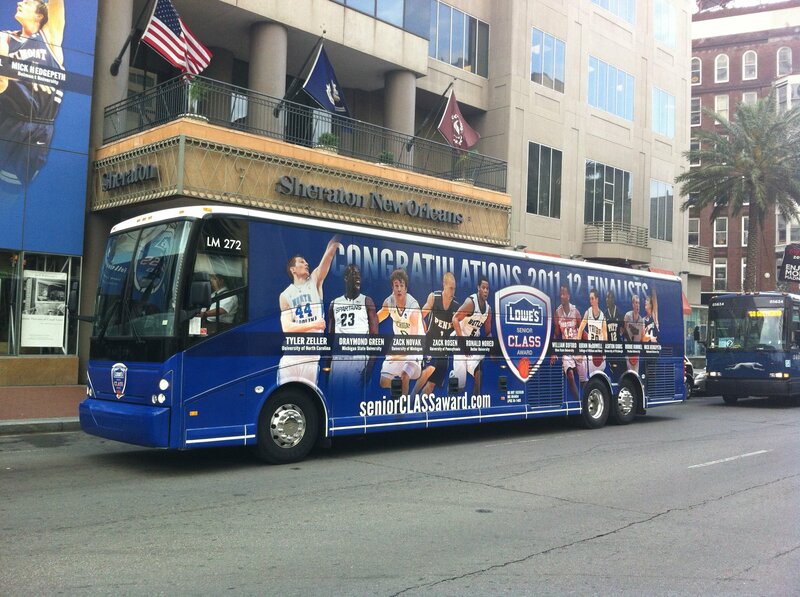 Lowe’s Senior CLASS bus in New Orleans. 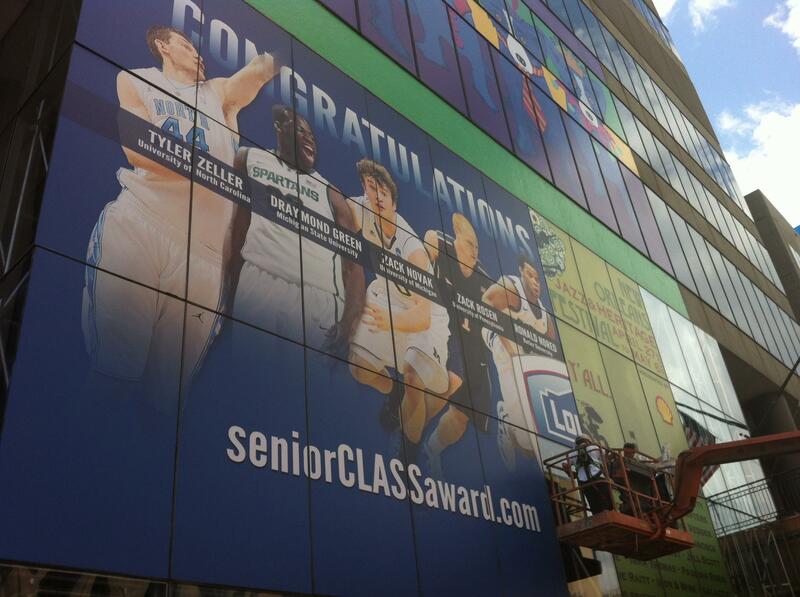 Installing the Lowe’s Senior CLASS photo on the Sheraton in New Orleans. Lowe’s Senior CLASS Award finalists on the Sheraton Hotel in New Orleans. Photos from Lowe’s Senior CLASS Award Facebook page. A Penn YouTube video highlights Zack. Penn Athletics article on Zack’s trip to New Orleans. Unanimous Ivy League Player of the Year: Zack Rosen on Philly.com. Rosen is named second-team ECAC Division I All-Star, the only Ivy player named. Rosen dives into life with same passion as hoops on CSNPhilly. This post was originally published on the Frankly Penn blog on March 30, 2012. This post from three years ago shares photos of our four-legged friends dressed to celebrate the holidays. The last time I took Koa and Lau Lau to see Santa was in 2012, and I decided they needed an updated photo this year. As usual, Lau Lau is looking a bit shell-shocked. 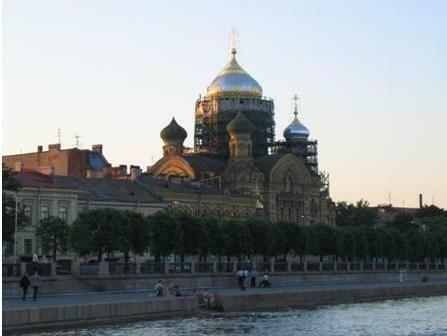 The post was originally posted on the Frankly Penn blog on December 28, 2012. 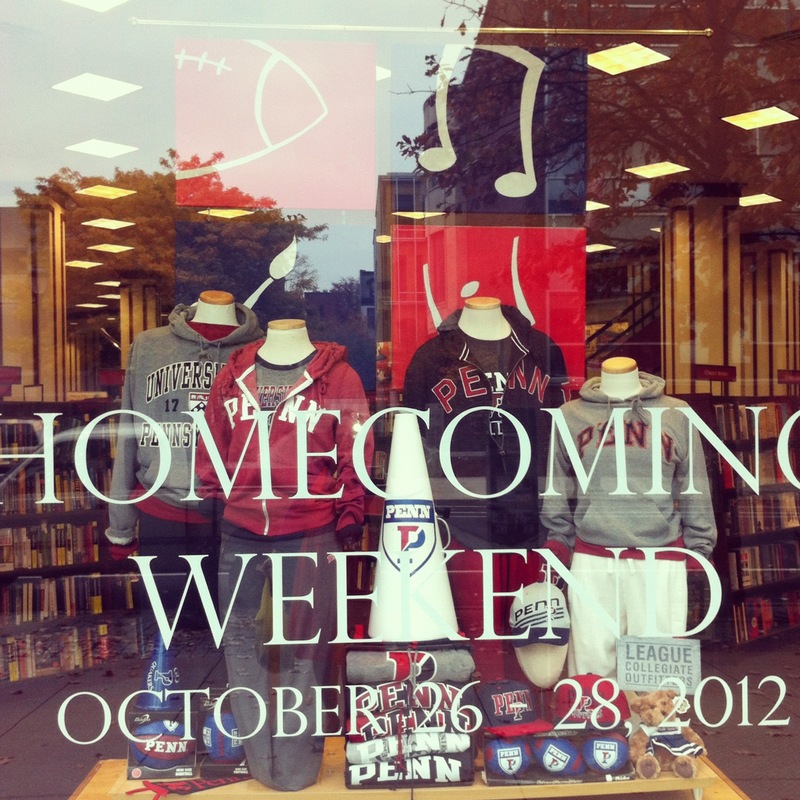 It’s Homecoming Weekend at Penn this weekend, and for the first time in a long time I will not be there. Today, the campus will be full of alumni, parents, friends and families walking through College Green on the way to a lecture, art show or the football game. There will be Red and Blue everywhere and hopefully crisp fall weather. 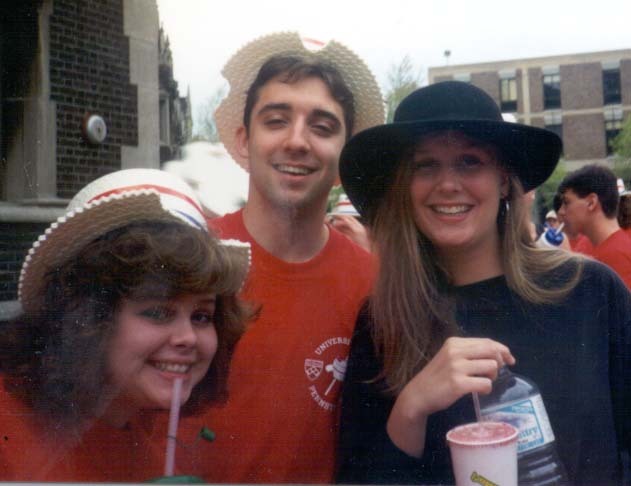 Here is a post from a few years ago, when I met two lovely women who met at Penn and returned to campus many years later, still the best of friends. I hope everyone has a fantastic time on campus this weekend. And let’s cheer for our Penn Football team – Beat Princeton! Let’s Go Quakers! 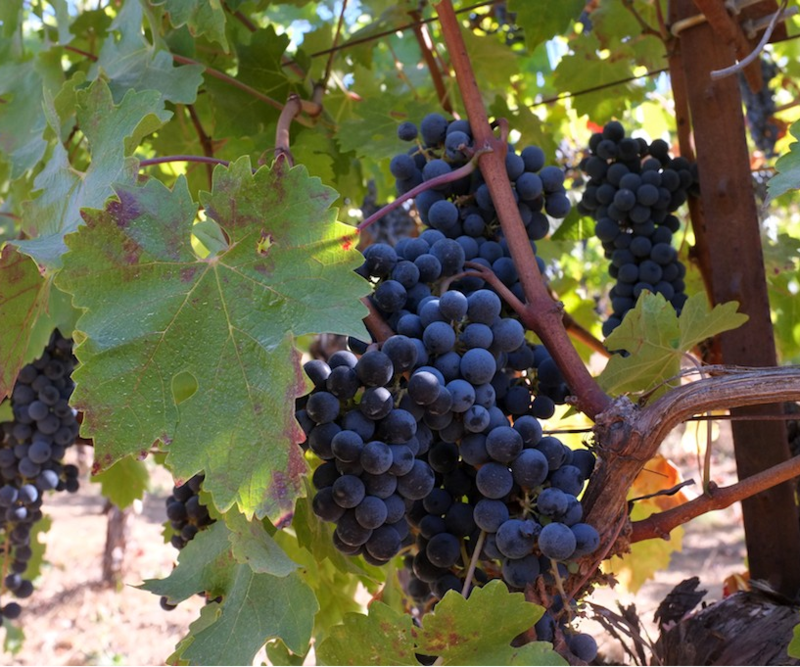 This post originally appeared on the Frankly Penn blog on October 26, 2012. Flashback: Time to Eat the Doughnuts! 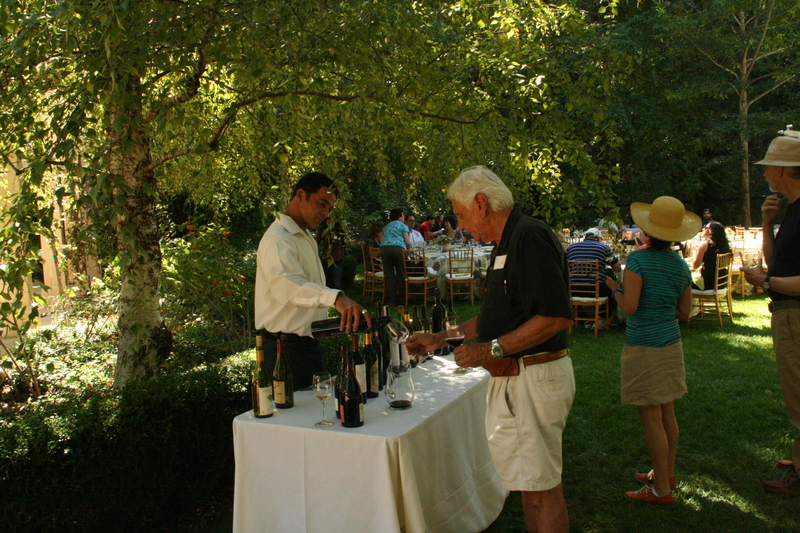 I used to travel to Seattle and Portland at least once a year, and while I was there for work, I always found time to explore the food and coffee offerings of the Pacific Northwest, which are bountiful. During one trip in 2012, I decided to visit doughnut shops. Just re-reading my initial post and seeing the pictures is giving me a serious doughnut craving, even though it is 6:00 PM. 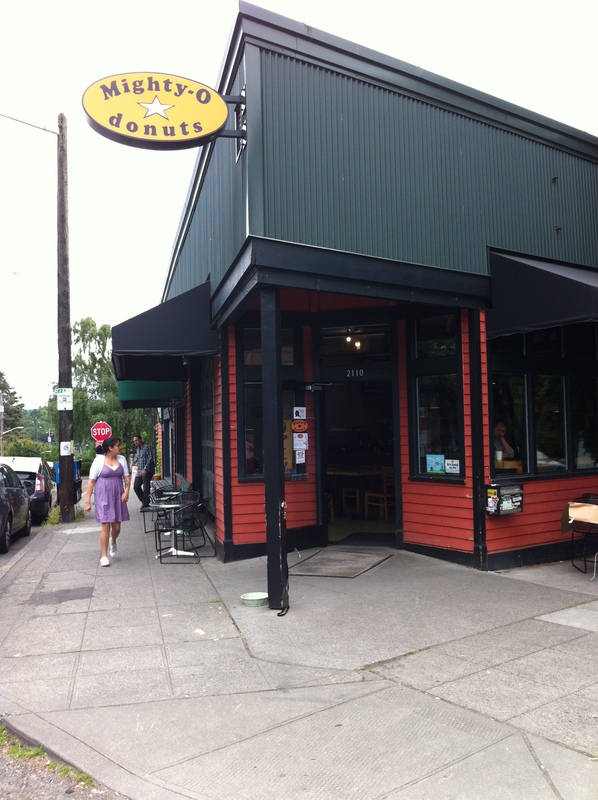 Since my original post, I added another donut/doughnut must-visit in Portland. My friend Debbie highly recommended Blue Star Donuts, and she was right to do so. After my visit there last year, I have since told friends visiting Portland that it is a must-stop! I remember this blueberry bourbon basil donut fondly (how can you not love a donut that has bourbon and blueberries – my favorite fruit?). 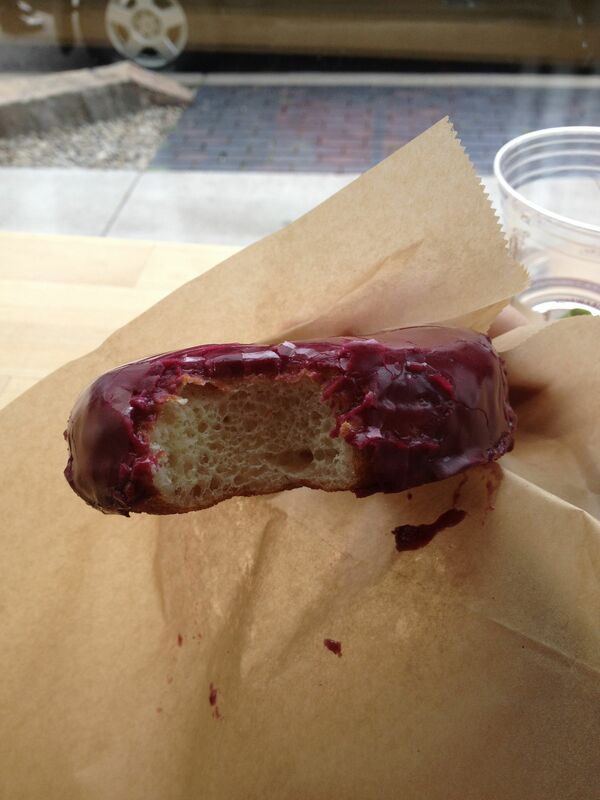 Blue Star Donuts’ #blueberrybourbonbasil donut. I remember trying at least one other, but I had to eat it before taking a picture. The donuts are inventive and sophisticated, their website has a picture of the Cointreau Creme Brulee donut for example, but the basics of a delicious brioche style donut are executed perfectly. 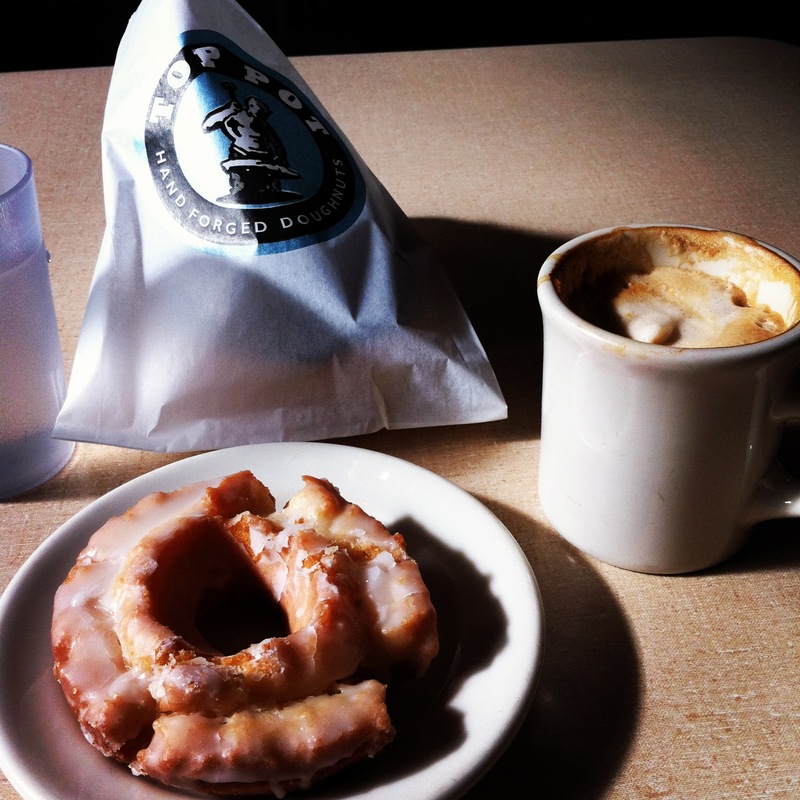 A recent article in the Los Angeles Times suggests that Blue Star Donuts will be opening a location in Venice, CA, so I will be able to sample these delights closer to home soon! Want to read about my original doughnut trip? 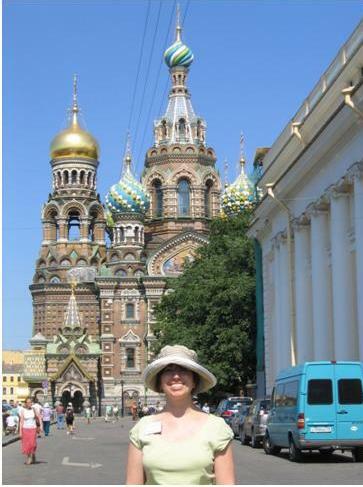 Here is my post which appeared on the Frankly Penn blog on June 29, 2012. 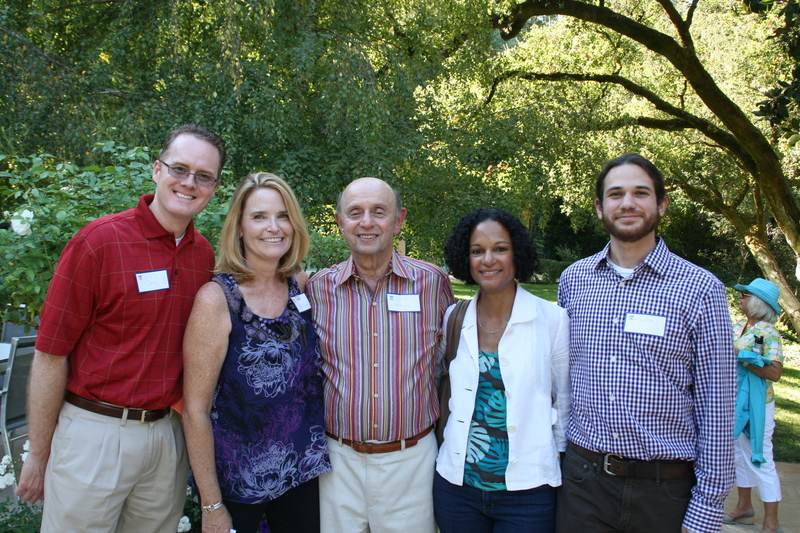 This week I traveled to Seattle and Portland to visit our Penn Alumni Clubs in each city. While there, I was able to visit and taste some of the best doughnuts in the country – as so deemed by Travel + Leisure. It turns out, T+L thinks many of the country’s best donuts (doughnuts) are on the West Coast. I’ll do my best to report back in the coming months as I’m able to sample them! On Monday, while in town to meet with the Penn Club of Seattle board, I first took a morning walk to Top Pot Doughnuts and sampled the old fashioned. 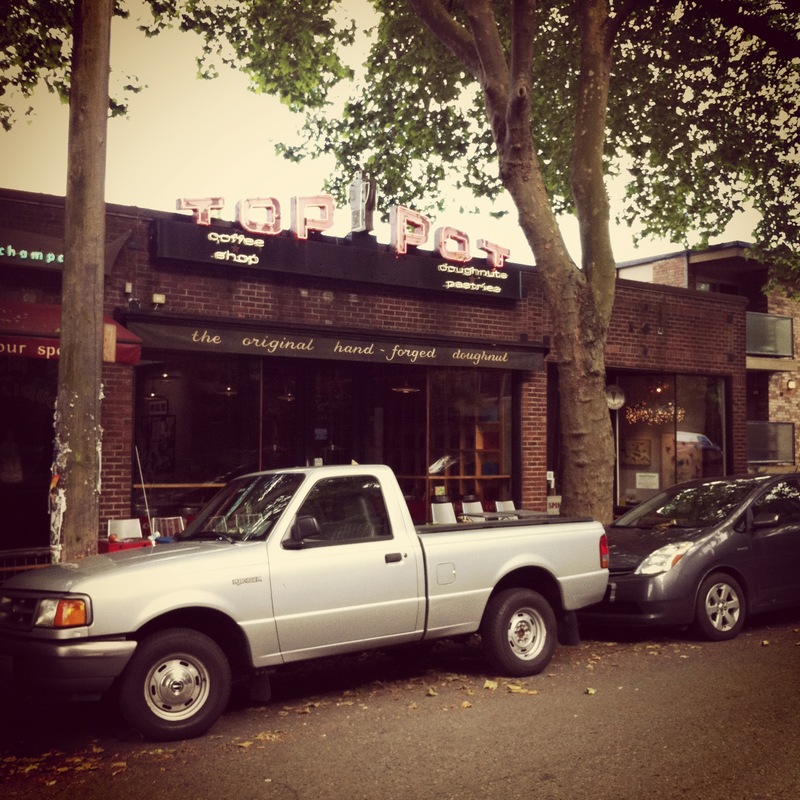 Top Pot has several locations around Seattle, but I wanted to visit the original storefront. 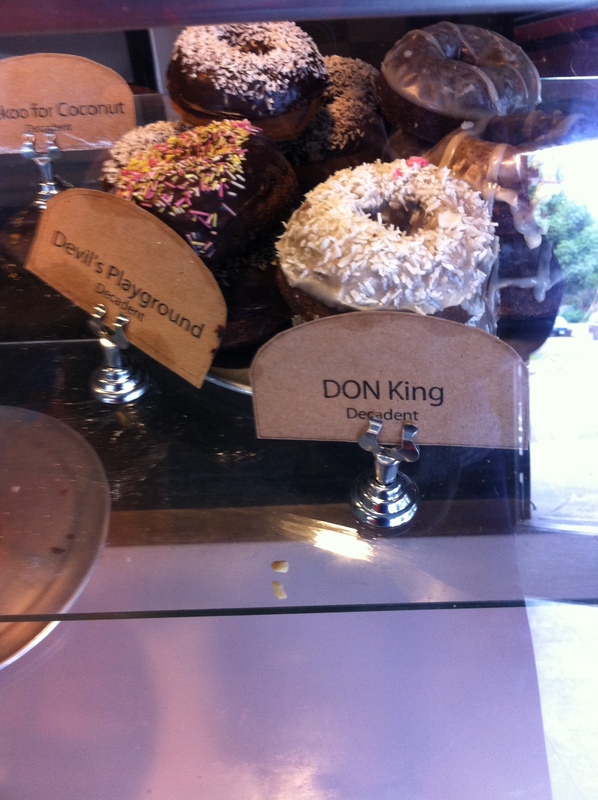 While I enjoyed the doughnut, there was a little too much glaze for my taste. 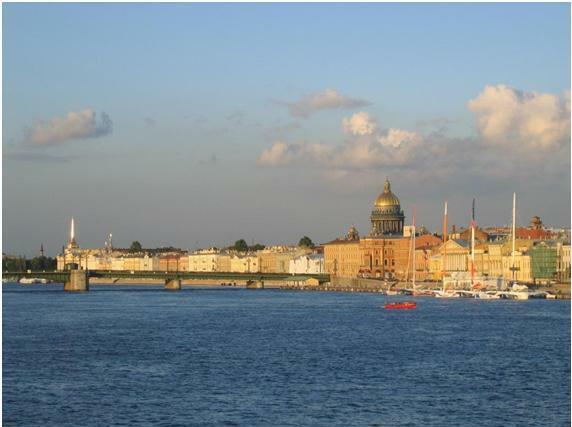 Click here to see what T+L liked. 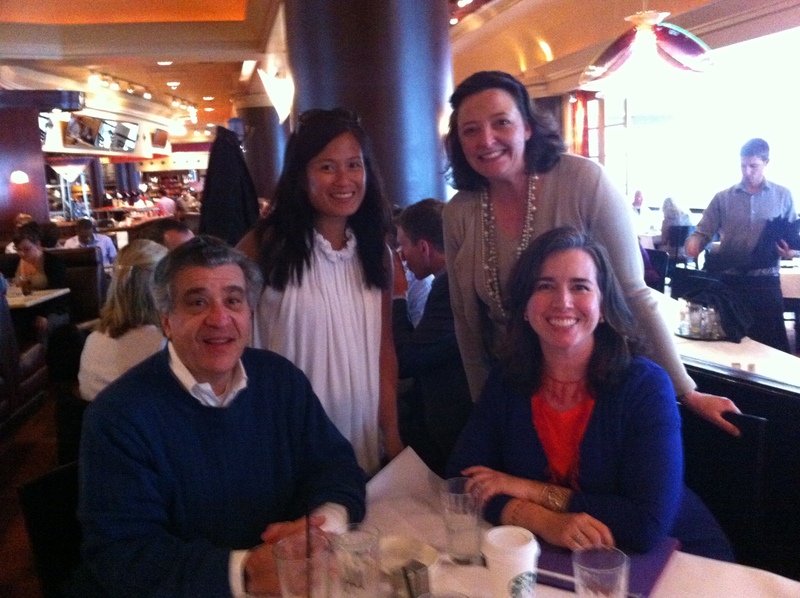 For lunch, after an obligatory stop at Starbucks, I met with Kristine Tan Wright ’94, Belinda Bentzen Buscher ’92 and David Blum. We discussed the club’s upcoming incoming student send-off , plans for bringing a faculty member to the club in the coming year, and of course, the dreary weather (it is Seattle!). 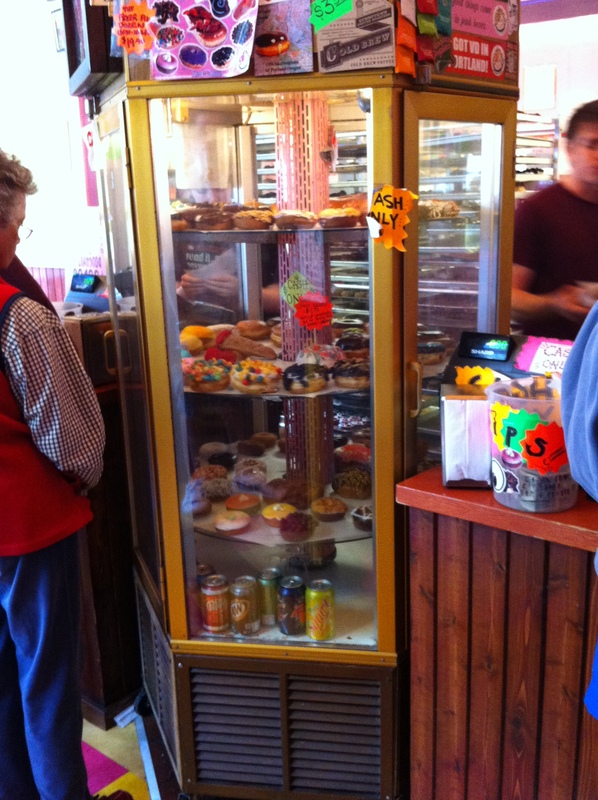 Before driving to Portland, I made a super quick stop at another Seattle “best of” doughnut location – Mighty-O Donuts. North of downtown, also in a residential neighborhood, Mighty-Os are organic and vegan, but oh they are good. Crisp and crunchy on the outside, and a delicious not too sweet cake on the inside, I have to say, these are some of the best doughnuts I’ve ever had. Here is why T+L liked Mighty-O. 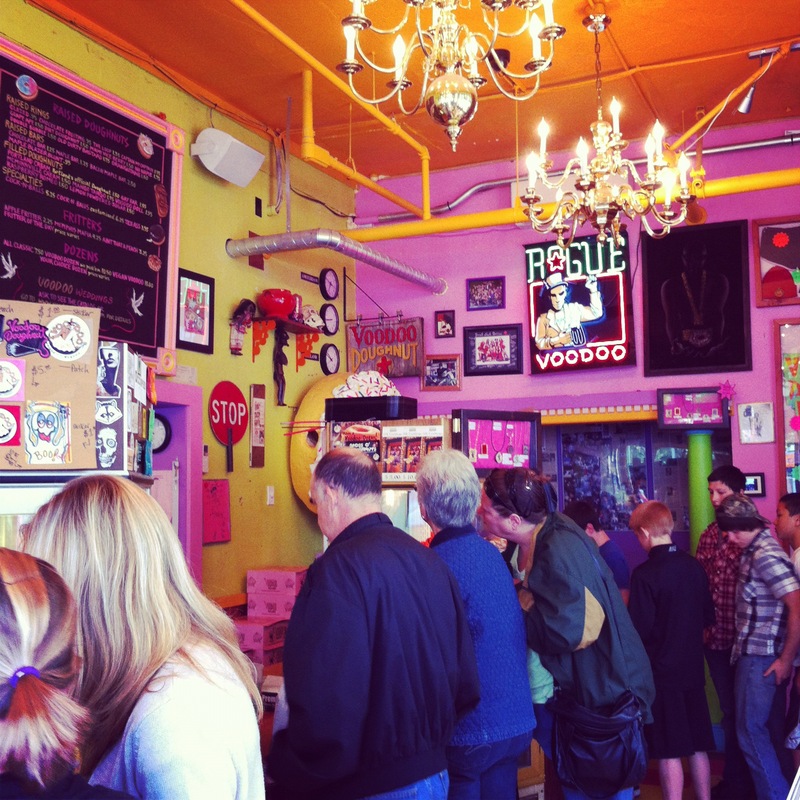 In Portland on Tuesday morning, it was time again for stretching my legs…and stopping by Voodoo Doughnuts, where they say, “the magic is in the hole.” I had visited Voodoo before and loved their maple bacon doughnut (2 whole pieces of bacon on each one). This time I tried a Portland Cream and chocolate. Mmmmmmmm…. 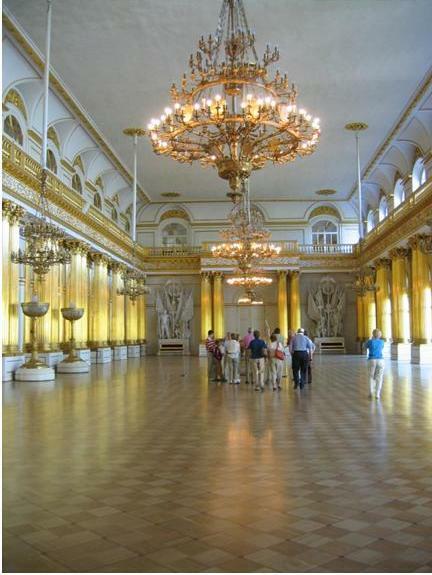 Click here to see what T+L had to say. 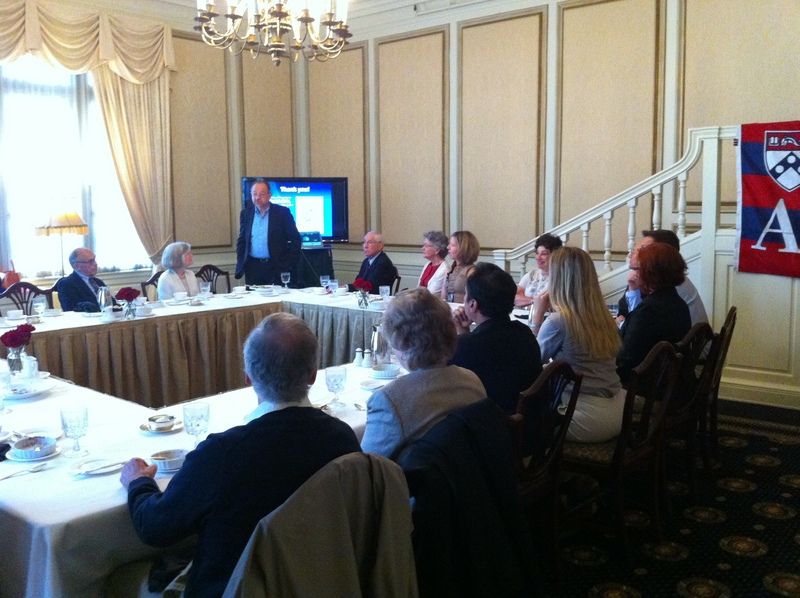 At lunch, the Penn Club of Portland welcomed Penn Integrates Knowledge Professor Jonathan Moreno for a presentation and interactive discussion with alumni, parents and local friends. 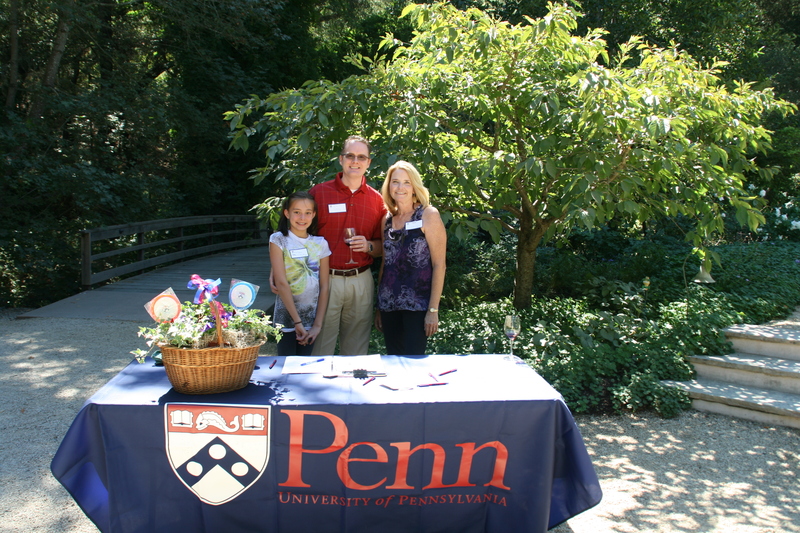 Everyone enjoyed his talk and is looking forward to the club’s annual Summer Lawn Party where new students and their families are welcomed to the Penn family. I always enjoy visiting our alumni clubs in the Pacific Northwest, but when I’m able to have a few free minutes to sample some local goodies, it makes the trip extra special! I encourage alumni in Portland and Seattle to grab some doughnuts and then call or email the local alumni clubs and stay engaged with Penn! 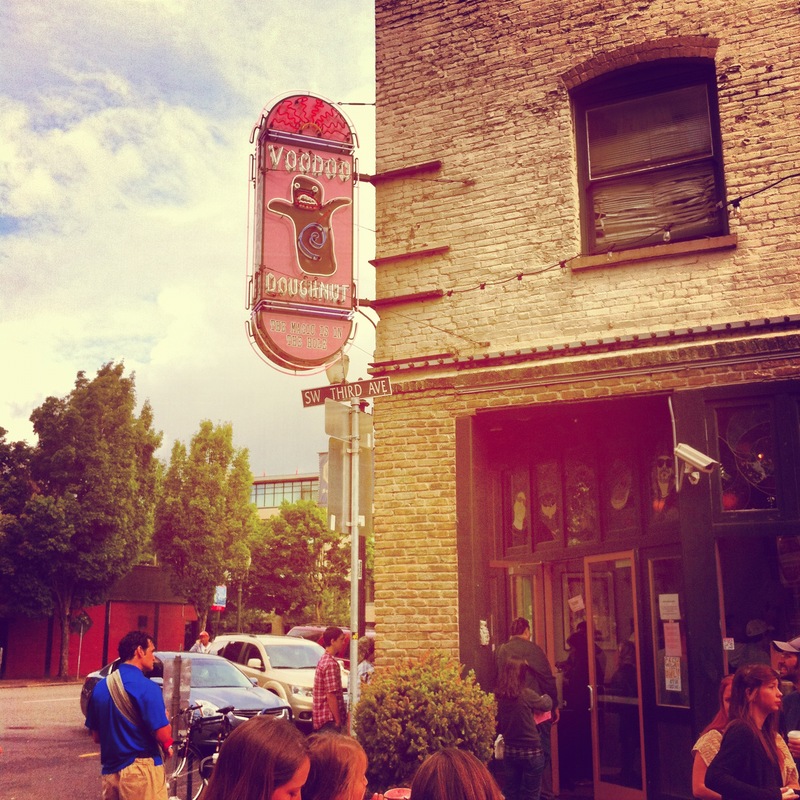 Do you have a favorite doughnut spot? 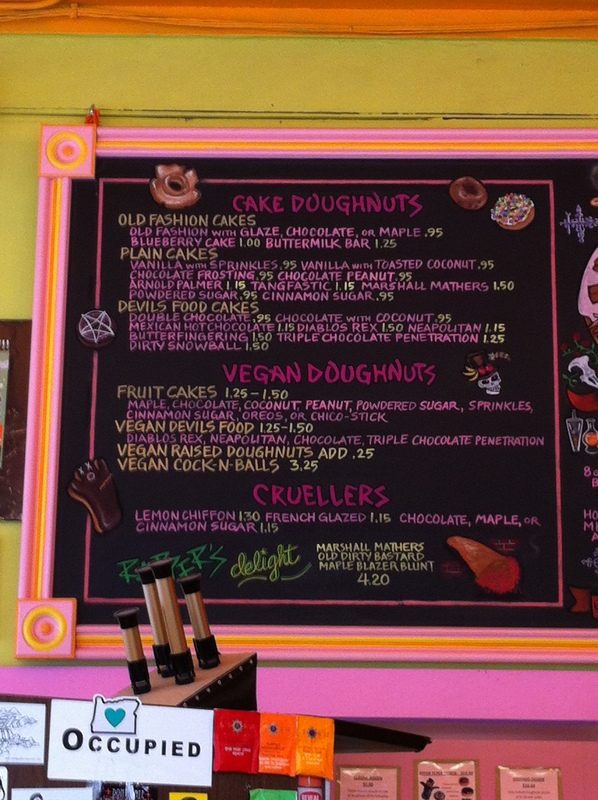 I hope to visit more best donuts soon – and report back! This post originally appeared on the Frankly Penn blog on June 29, 2012. 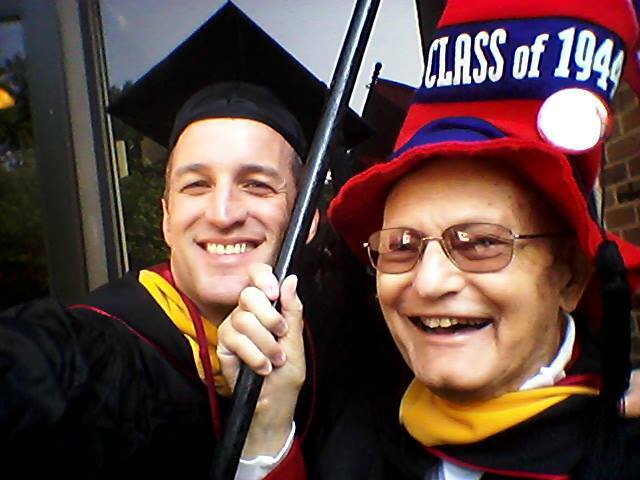 Flashback: 70 Years Since Graduating and He’s Still Got the Hurrah for Penn! 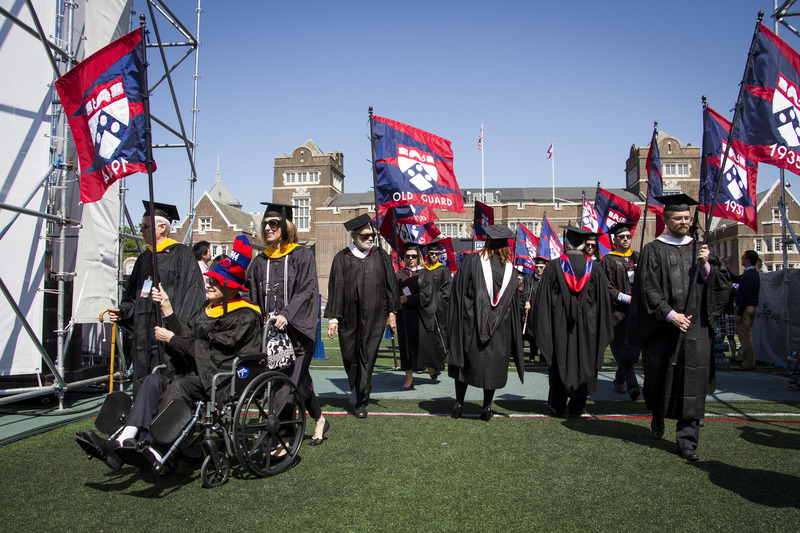 Today, May 18, 2015, the University of Pennsylvania held its 259th Commencement ceremonies. 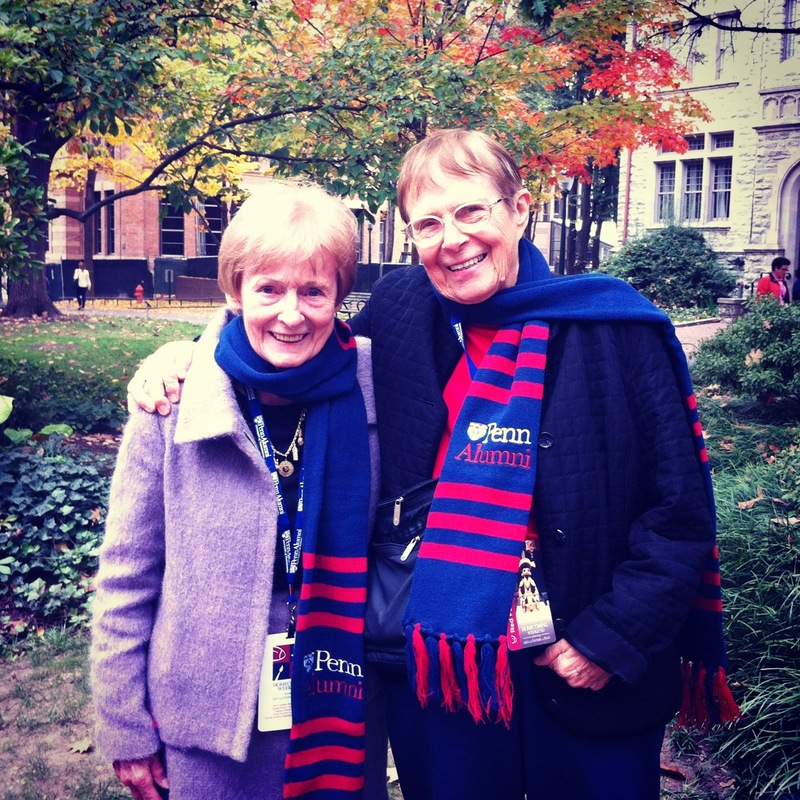 Each year, while working as a staff member for Penn Alumni Relations, my colleagues and I would help alumni dress in academic regalia to prepare for the alumni processional into Franklin Field for Commencement. It was always one of the happiest days on campus as new graduates officially received their degrees and joined the ranks of Penn Alumni, and the alumni class representatives walking in the procession cheered the new graduates as they walked through the alumni flags lining Locust Walk in front of the Sweeten Alumni House. This is my first time since 2001 that I am not at Commencement, but I watched the live webcast and followed along on social media with the hashtag #PennGrad. U.S. Permanent Representative to the United Nations Ambassador Samantha Power delivered the commencement address, and she received an honorary degree along with Arthur K. Asbury, Lee C. Bollinger, Joan Myers Brown, Rita Moreno (Rita Moreno!! ), Ellen Ochoa, and Cass R. Sunstein. You can read more about the honorary degree recipients here. 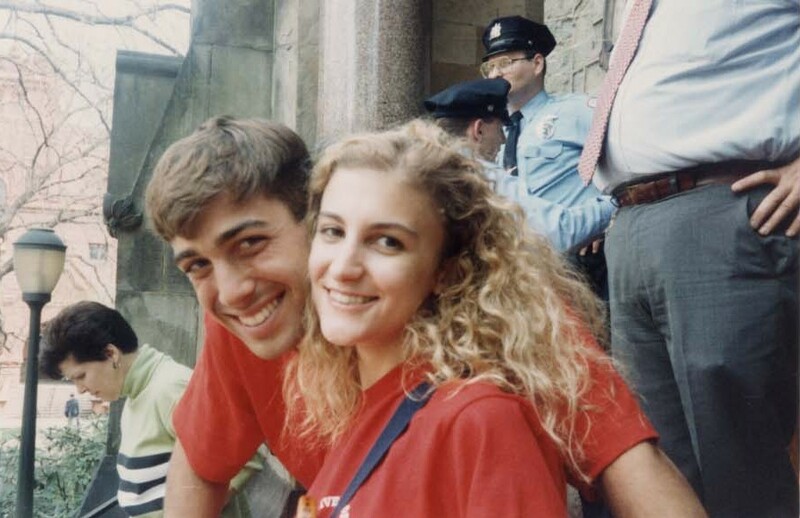 Last year, I wrote a post about Penn’s 258th Commencement, which featured the commencement address by John Legend, C’99, and the happy times I shared during the ceremony with my colleague Casey Ryan, C’95, and alumnus Harry Gross, W’44. My former colleague Steve Hamilton caught up with Harry Gross, W’44, who I highlight in my post below, again this year. Steve notes, “Among other things, Harry hosted WWDB’s ‘Speaking of Your Money,’ and wrote a regular newspaper column. He always was and still is a great guy and perfect gentleman.” I am very happy to see that Harry is still waving his class flag proudly at Commencement! 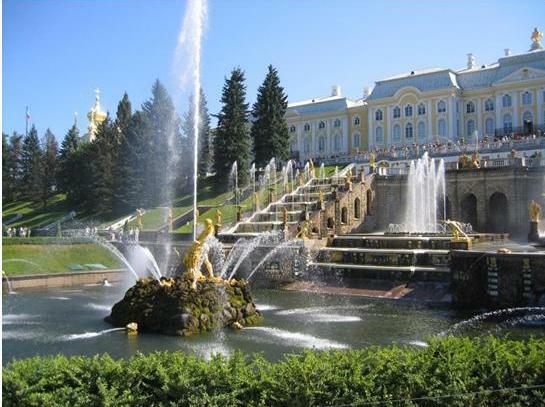 Here is my original post which appeared on the Frankly Penn blog on May 28, 2014. 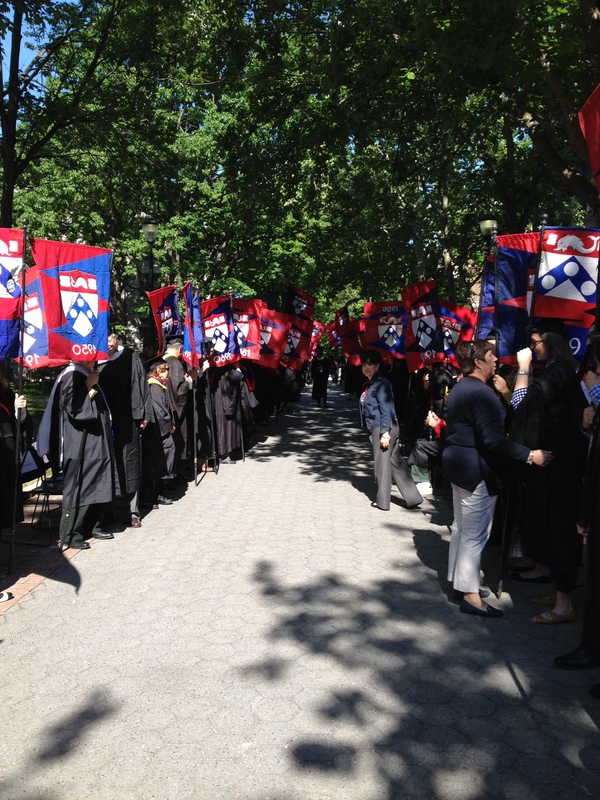 Congratulations to the Penn Class of 2015! I always tell people that Commencement Day at Penn is the happiest day on campus, and this year, on May 19 as Penn celebrated its 258th Commencement, was no exception. 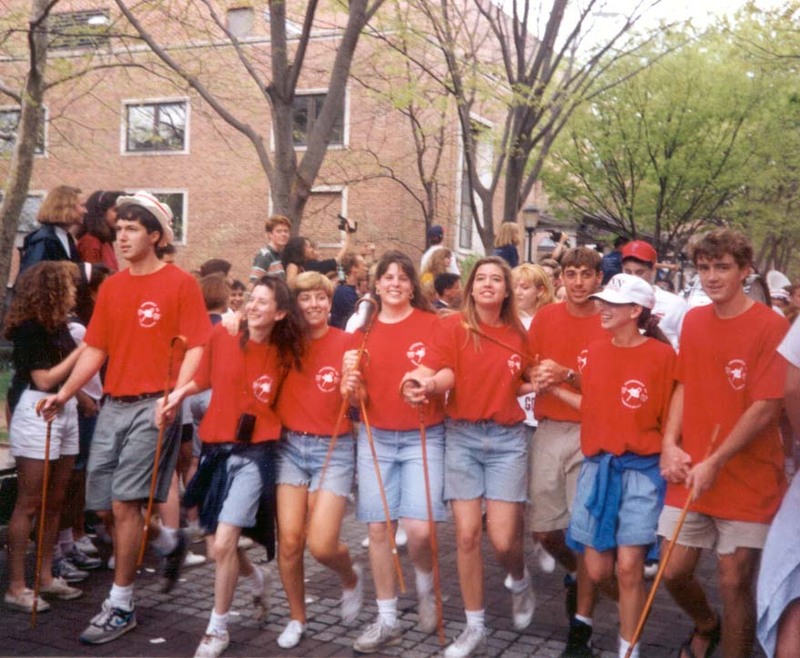 In Alumni Relations, we help with the alumni processional portion of the event – alumni from every undergraduate class at Penn carry flags from their graduating year and march into Franklin Field after the graduates. We arrive early in the morning, so we can “get robed” in our caps and gowns, and then wait for the alumni to arrive. 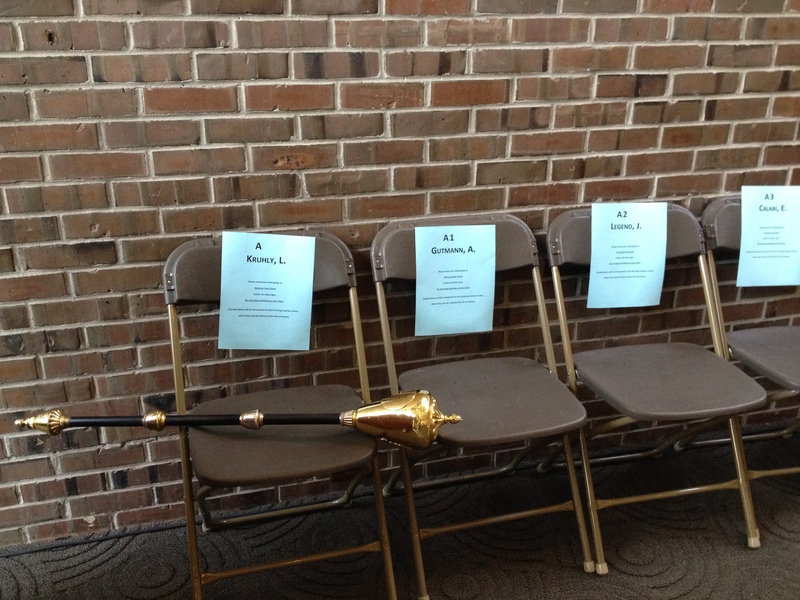 The alumni robing is near the academic processional staging area, and I happened to be looking at President Gutmann and commencement speaker John Legend’s, C’99, chairs when the University Mace was delivered. Leslie Kruhly, the Secretary of the University, leads the academic procession carrying the mace. The staging area for the academic procession. The University mace was just delivered. 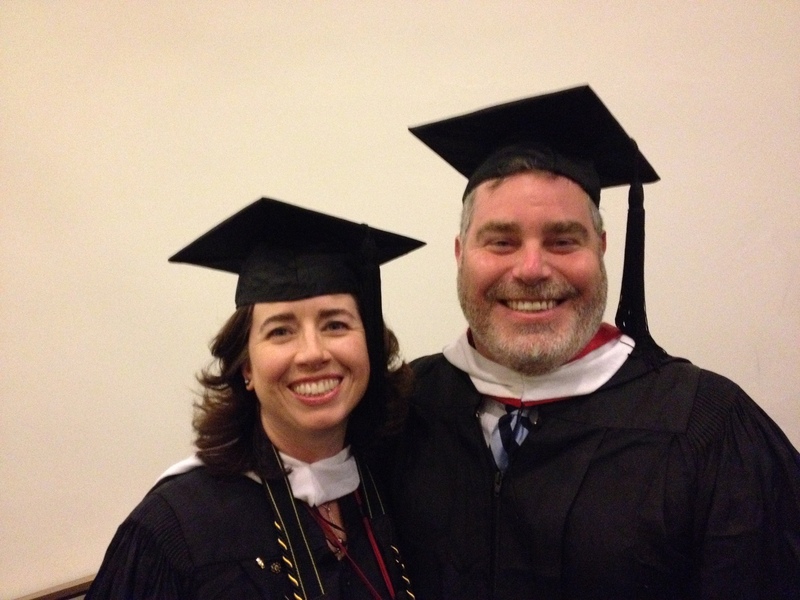 My colleague Casey Ryan, C’95, and I are robed and ready to go. We led the alumni procession down Locust Walk and into Franklin Field. After everyone is robed, we wait a bit before we get the cue to begin. Here everyone is lined up waiting for the academic procession to pass. The alumni procession waiting for the academic procession outside of the Annenberg Center. 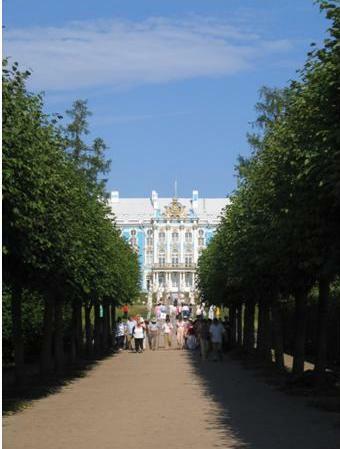 Then we march down Locust Walk to the front of the Sweeten Alumni House. It was a beautiful day and everyone on campus was lining the walk cheering and clapping for the alumni. 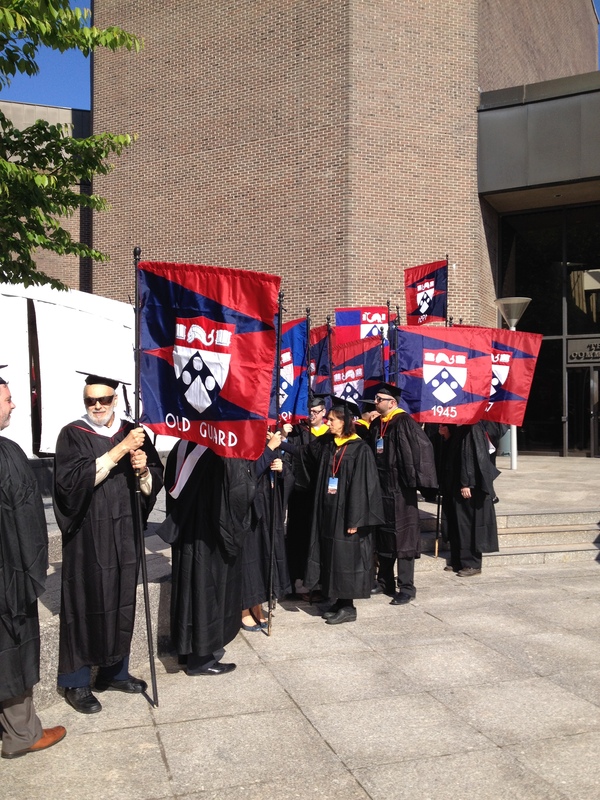 Alumni flag bearers line Locust Walk to congratulate the newest Penn Alumni! The alumni flag bearers then line Locust Walk and wait for the graduates. The graduates march down Locust Walk through our line of alumni flags, and the alumni cheer, clap and congratulate the newest members of Penn Alumni. Some graduates casually walk by, others pose for pictures with their friends, or their parents and family try to capture a candid moment of them walking to graduate. And in the midst of the several thousand graduates passing us by, at the front of the alumni flag line, was Harry Gross, W’44. Harry graduated in 1944, that’s seventy years ago for those of you having a bit of trouble with the math. He wore a fun Red and Blue hat, and as he sat in his chair holding the Class of 1944 flag, he was arguably the most popular man on Locust Walk. Yes, everyone wanted to wave to President Gutmann and take a selfie with John Legend, but Harry was the star. Graduates thanked him for coming. They shook his hand, they said wow. And when they said congratulations, Harry simply replied, “Congratulations to YOU!” And then he told them that they’d be in his same spot in seventy years! Congratulations to Penn’s Class of 2014! We’ll see you in 2084 (and we hope every year in between). Hurrah, Hurrah, for the Red and the Blue! Commencement from the alumni flag bearer’s view. Here’s Harry leading the alumni processional into Franklin Field. 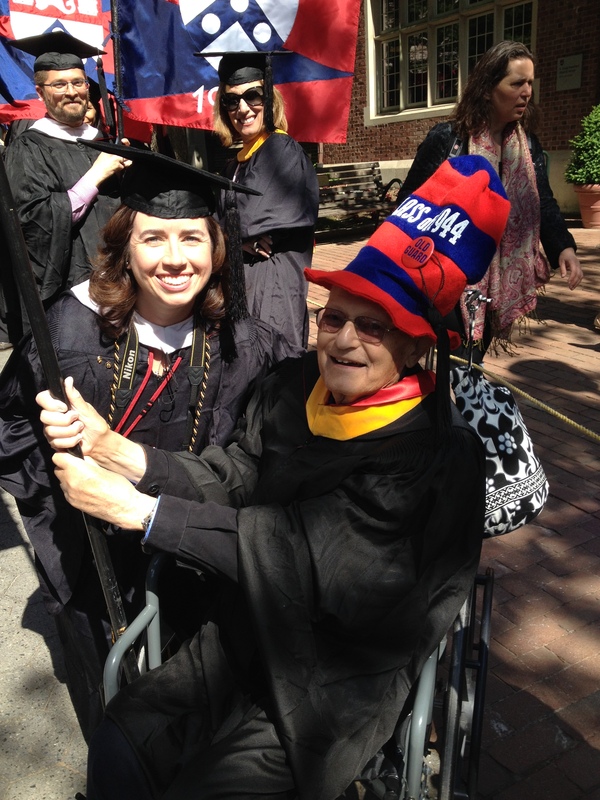 Harry Gross, W’44, leading the alumni flags onto Franklin Field for the University of Pennsylvania’s Commencement, May 2014. Photo copyright: University of Pennsylvania. Watch videos of President Gutmann’s commencement speech and John Legend’s address here (and also photos of the day). 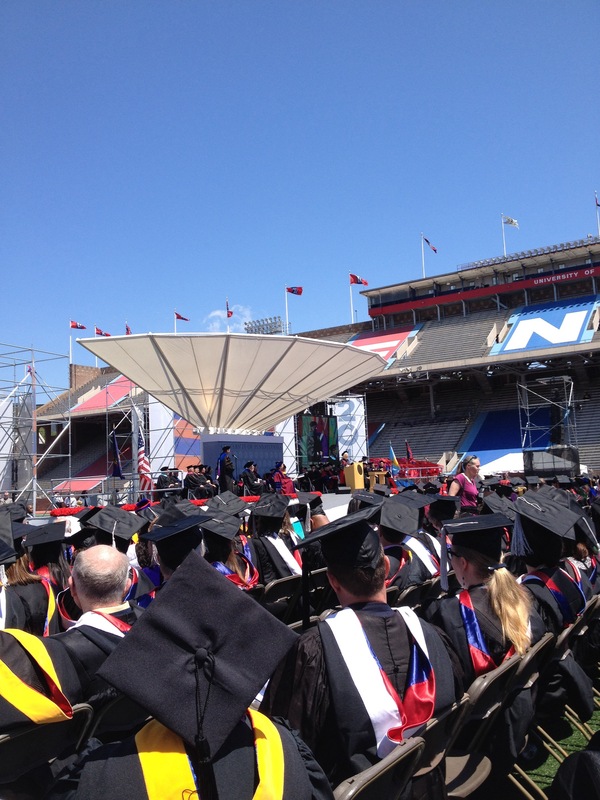 See all the Penn Commencement tweets #PennGrad. This post originally appeared on the Frankly Penn blog on May 28, 2014. This post originally appeared in the Frankly Penn blog on April 18, 2013. 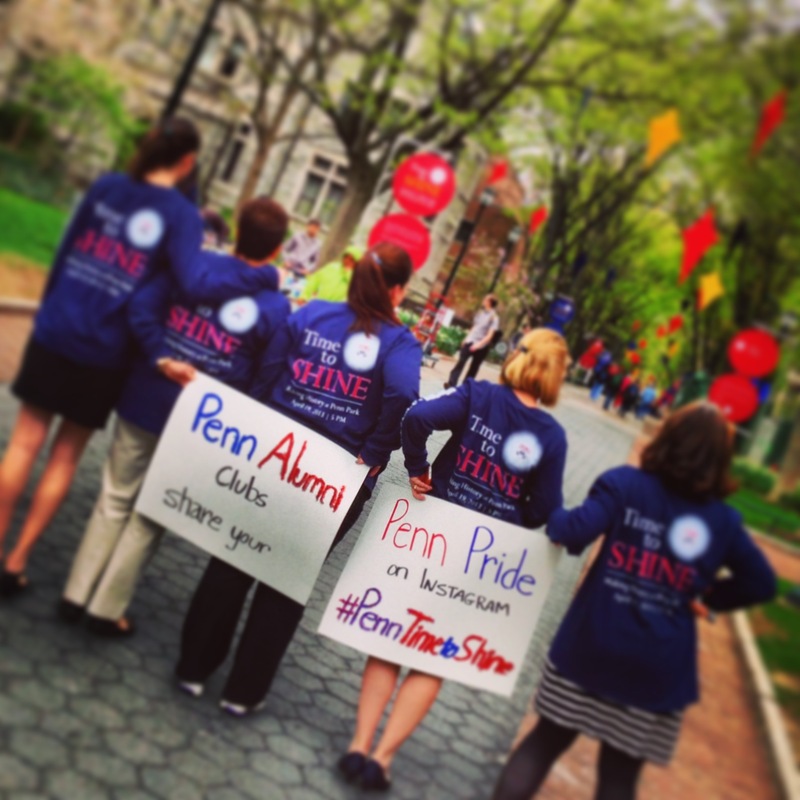 Did You Know…that Penn’s Making History campaign celebration, Time to Shine, is tomorrow? Over 14,000 alumni, students, faculty, staff and guests will celebrate on Penn Park with headlining acts Train and John Legend, C’99. The event is free, but registration closes at noon EDT tomorrow, April 19th. Register here. The show will go on, rain or shine. Please note backpacks and umbrellas will not be allowed in Penn Park. Read the article in The Daily Pennsylvanian today about the event. 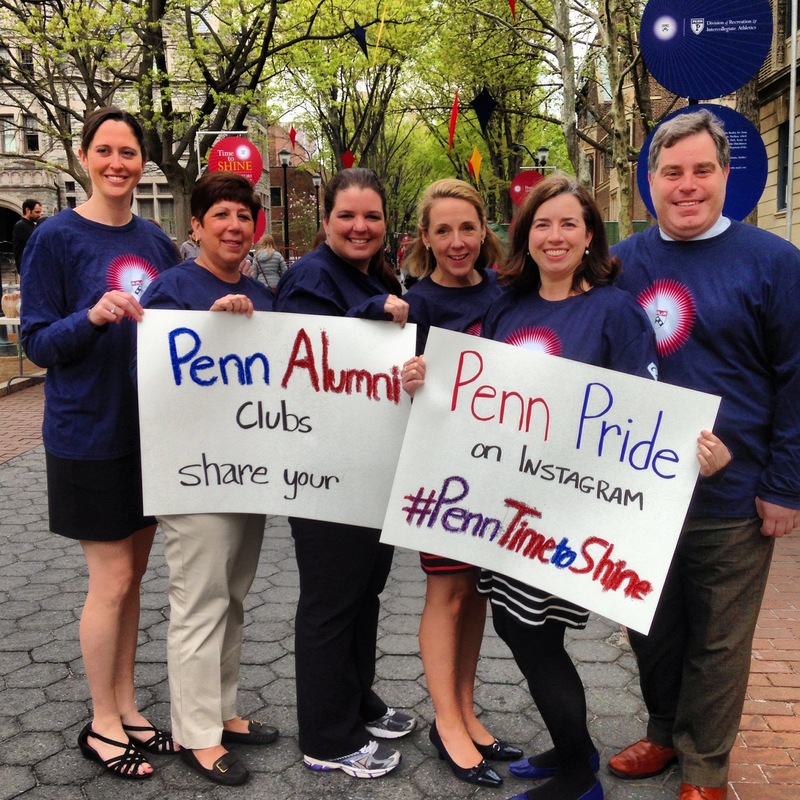 During the event, screens around the park will showcase your Instagram photos with the #PennTimetoShine hashtag. Can’t make the event? 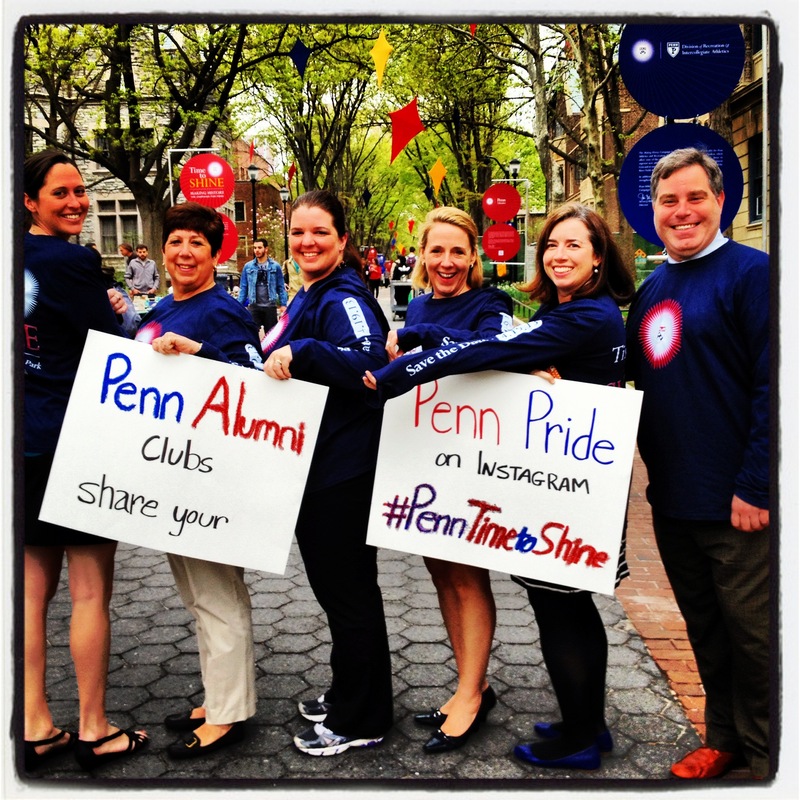 Share your Penn Pride with us – post your photo of you and your friends or your clubs on Instagram (wearing your Penn gear) with the hashtag #PennTimetoShine and you’ll be featured during the celebration (and of course you can follow along on Instagram and twitter too). Please like our photos on Instagram! 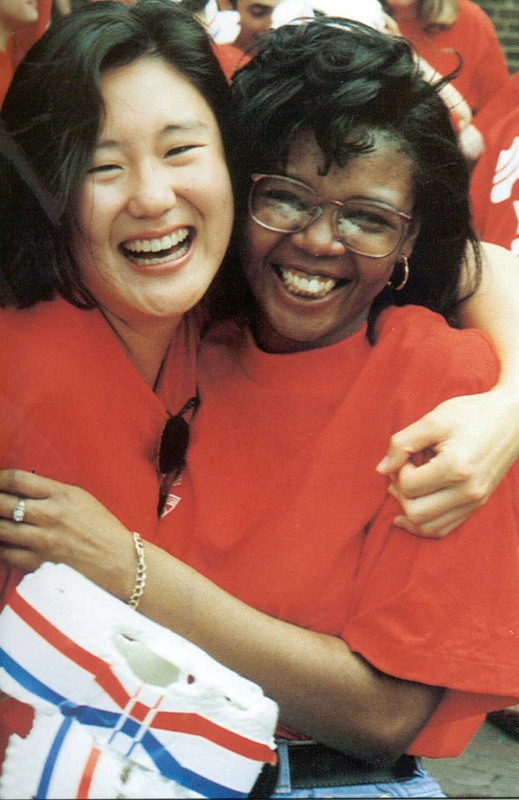 When I worked for the University of Pennsylvania’s Western Regional Office in Los Angeles, I was fortunate to help a group of dedicated Penn volunteers as they created opportunities for local alumni to come together to serve the community. 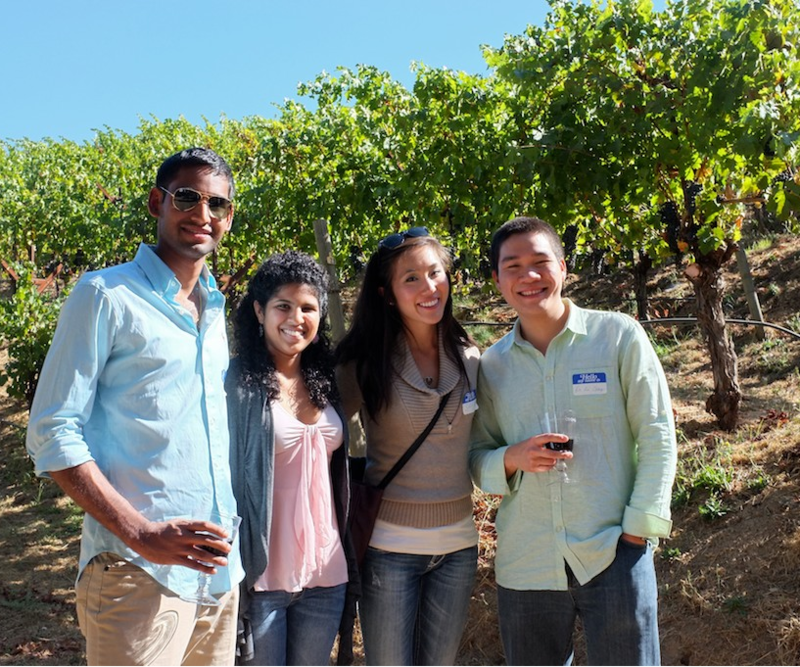 Since an initial meeting in April, 2012, this group, called Penn Serves LA, has organized numerous volunteer opportunities for Penn alumni and their families all over the greater Los Angeles region. Here is a post I wrote on April 1, 2013, for the Frankly Penn blog about their Habitat for Humanity event. In April of this year (2015) Penn Serves LA is offering several opportunities to serve with Meals on Wheels. You can learn more about the group and register to participate at one of their events via their website. On Saturday morning, March 9th, I drove to a house in Lynnwood, California, hoping to take photos of the Penn Serves LA group working on a Habitat for Humanity of Greater Los Angeles project. There was a dumpster in the driveway, and a work truck parked out front, so I assumed I had arrived at the proper place. As I walked toward the home, I noticed people on the roof wearing Penn gear. I guess I’m at the right place, but why are they all on the roof? It turns out our job wasn’t to paint, as many of the volunteers expected, but to remove the roof from the house! I checked in with the Habitat for Humanity on-site managers, and they said, “Oh, sure you can help…just sign this waiver, put on some gloves, grab some goggles and head up the ladder!” Gulp. This wasn’t what I was expecting, but seeing that everyone else was on the roof, I took a deep breath and up I went to join twenty other Penn alumni and friends. 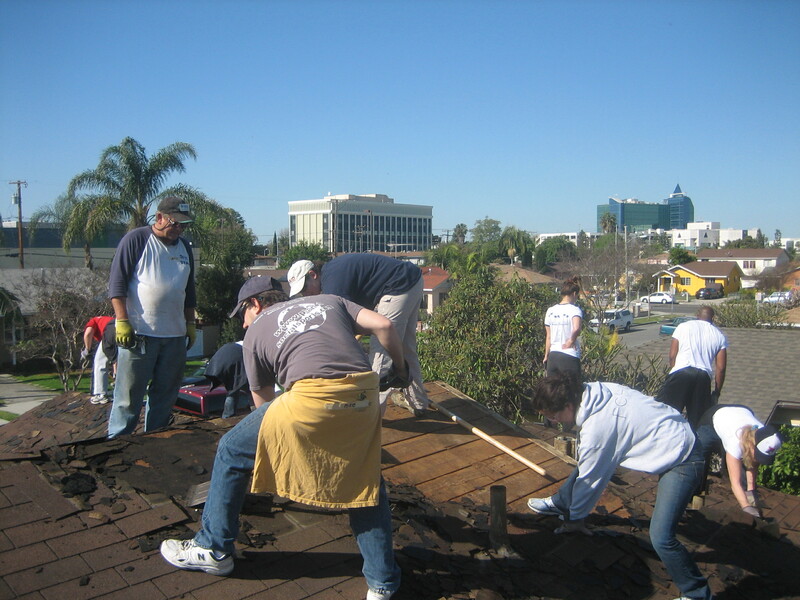 Penn Serves LA volunteers hard at work taking off the roof. 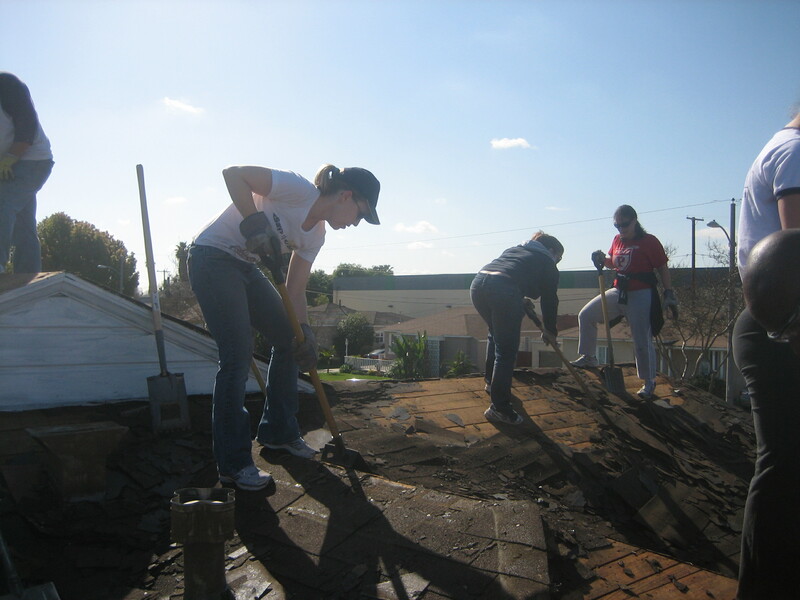 The Penn Serves LA volunteers were all busy working with tools to scrape and pull tiles and nails off of the roof. Others were filling buckets with broken-up roof pieces. That became my job, filling a big paint bucket with roof pieces, walking over to the edge, and flinging the contents over the side into the dumpster. On my first attempt, about half of the contents landed on the ground, and half in the dumpster. The bucket was heavy, and I felt like I might fling myself off the roof with it! The Habitat supervisor encouraged me to go closer to the edge of the roof, and if I felt the bucket going, just let it go. Pretty soon I got the hang of it, and wandered around the roof helping to collect and dump all the tiles everyone was helping to remove. The Habitat staff stopped us for water breaks, making everyone climb down, drink some water and rest. 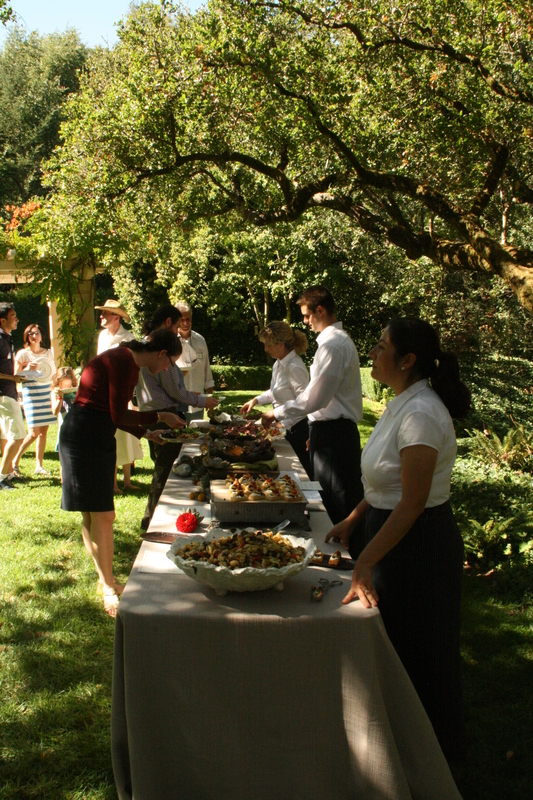 And we enjoyed a long lunch break, with a beautifully displayed spread of sandwiches, tangerines, carrots, chips and cookies provided by Jane Gutman, CW’73, PAR’14, PAR’16, one of Penn Serves LA’s directors. 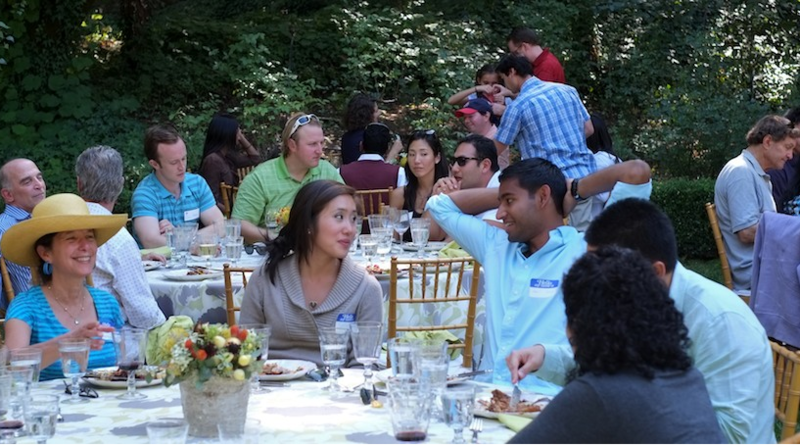 While we ate, our group talked about jobs, where we lived, and what we studied at Penn. Everyone seemed happy to be there and were enjoying the tough work since we were doing it together. While most of us worked on the house, this group removed the roof from the garage. Happy Penn Serves LA volunteers. 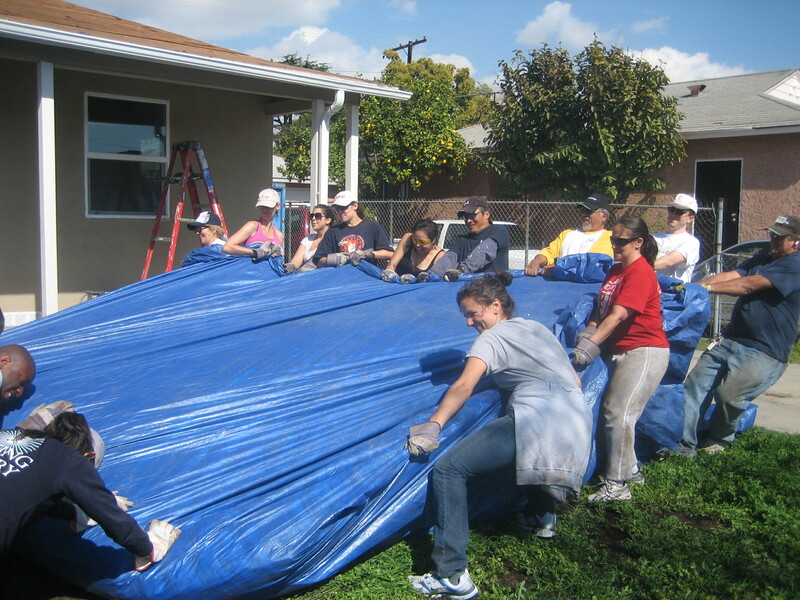 Now we had to move the tarp from the front lawn. It was really, really heavy! Habitat for Humanity currently has grants to work on homes in three areas of Los Angeles, and Lynwood is one. The family we were completing the house for currently lives in 100 square feet of housing. Recipients of homes are asked to contribute “sweat equity” of 250 or 500 hours, depending on whether their home was remodeled or whether they were receiving a newly built home. They get 30-year mortgages with no interest, and only one person has ever defaulted because the folks who get the houses are all hard workers with good credit. The roof our group removed was 1,600 square feet, and we worked alongside the woman and her family who will be living in the house. They were great and so excited about their future home. “What a fantastic experience it was to work alongside so many terrific young Penn alums and their friends. We got crazy dirty doing really hard work, but it was so satisfying and the group was Quaker strong, determined and indefatigable,” said Jane Gutman. Jane Gutman helping remove the roof pieces. Jane Gutman showing us all the dirt from the roof! 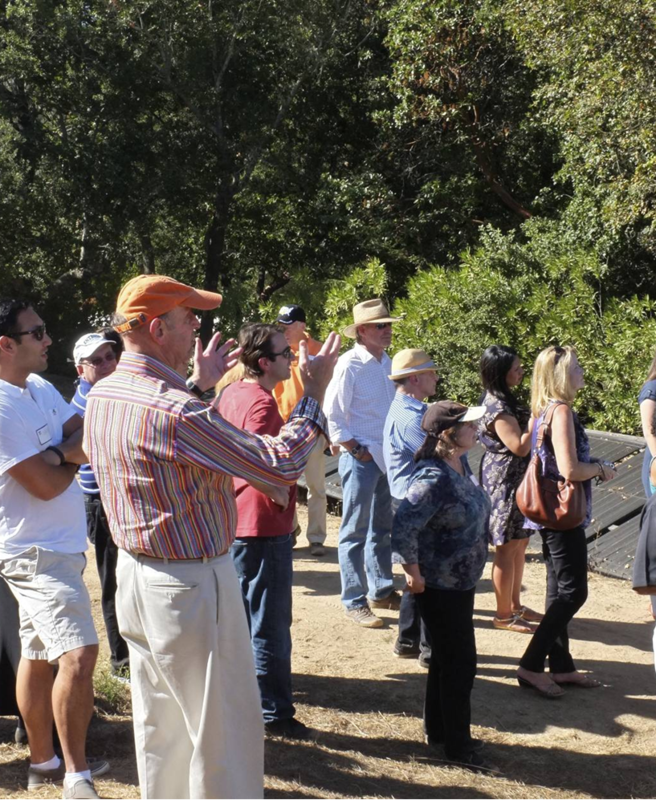 The Habitat for Humanity event, which was co-sponsored by the Southern California Regional Advisory Board, Wharton Club of Southern California, and PennClubLA, was the fourth Penn Serves LA event since its launch in May 2012. 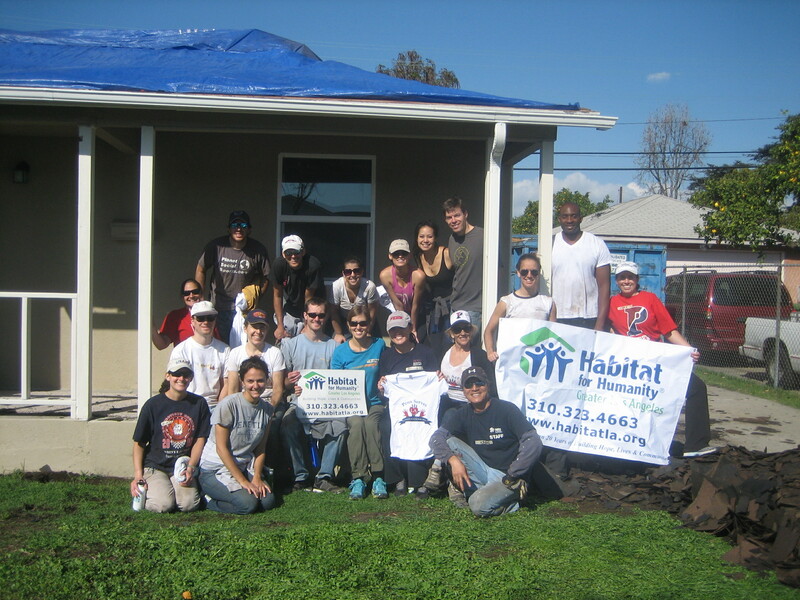 The Penn Serves LA Habitat for Humanity volunteers after removing the roof! Hurrah, Hurrah! See all of the photos from our day here. Are you active in community service? Want to get your favorite nonprofit involved? 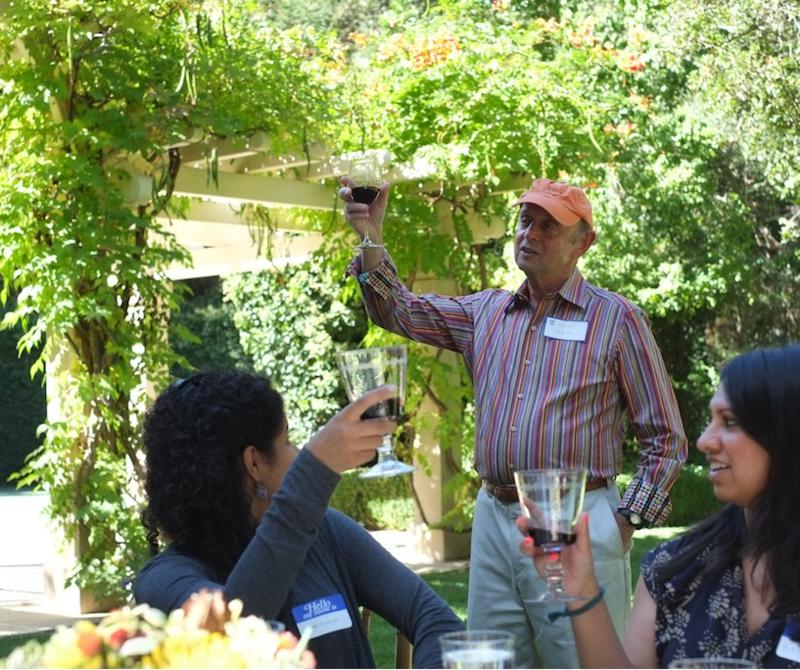 If you have a nonprofit in mind for a future Penn Serves LA event, let us know. 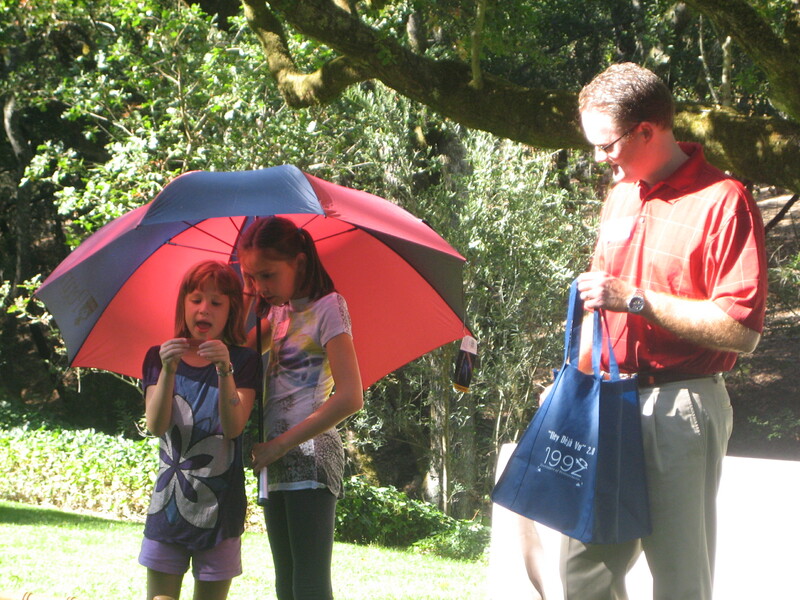 Our initiative provides alumni with the unique opportunity to showcase their favorite charitable organization. Send us an email at pennservesla@gmail.com with your name and Penn affiliation, the organization you would like us to serve, why you got involved and how Penn Serves might help. The group would like to expand to other cities, so please contact us if you’d like to spearhead a similar effort in your town. Penn Serves LA is an initiative to encourage Penn alumni, parents and family across all schools and all years to come together and serve those in need through established nonprofits working in underserved communities. Children and spouses of alumni and parents of current students are also invited to participate (please check age requirements). 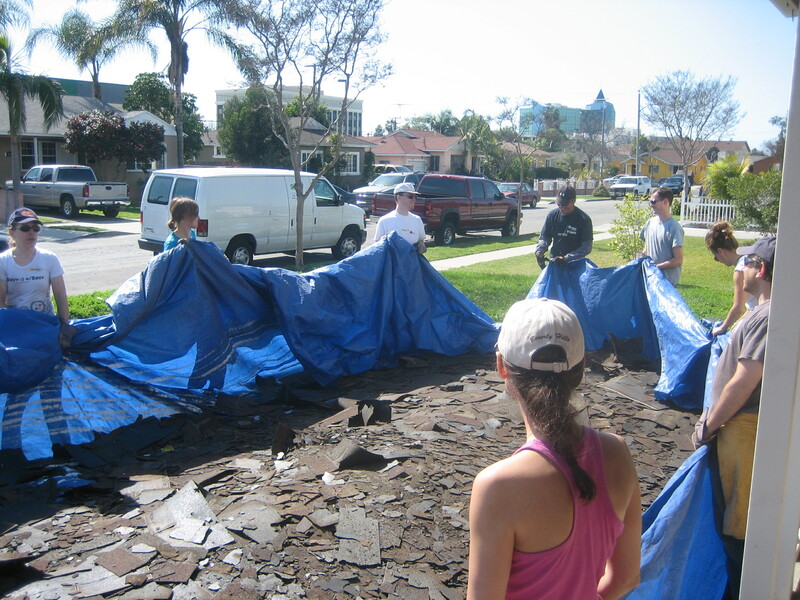 Penn Serves LA is regularly scheduling service events throughout the year. 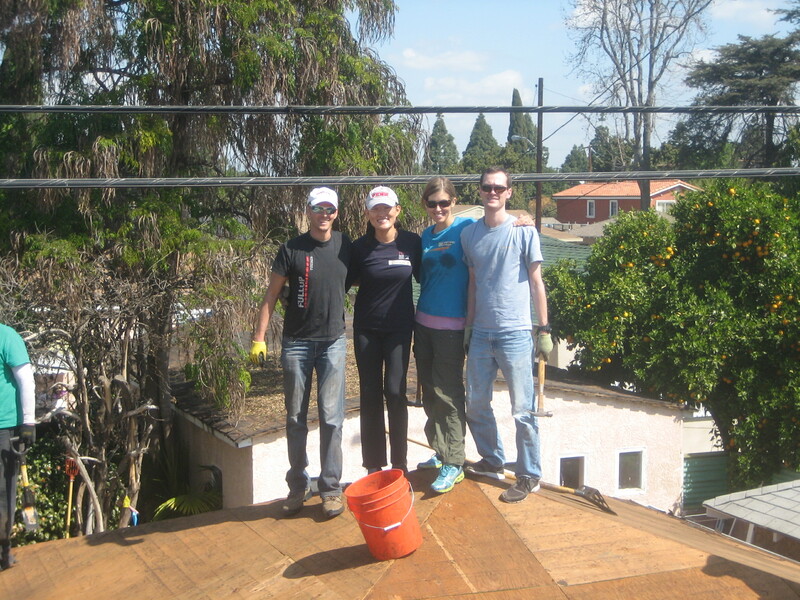 Penn Serves LA is working in partnership with PennClubLA, Wharton Club of Southern California, and SCRAB. You can read about our first event at Turning Point Shelter in Santa Monica, our second event at the Midnight Mission, and our third event at Inner City Arts. The Penn Softball team volunteered at Habitat for Humanity in New Jersey – here’s the link to a story and video about their experience. 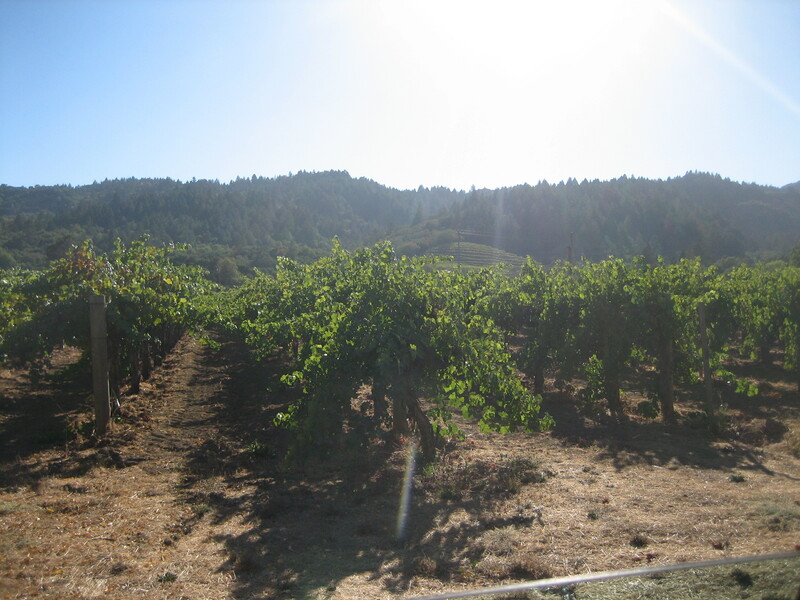 This article originally appeared on the Frankly Penn blog on April 1, 2013.